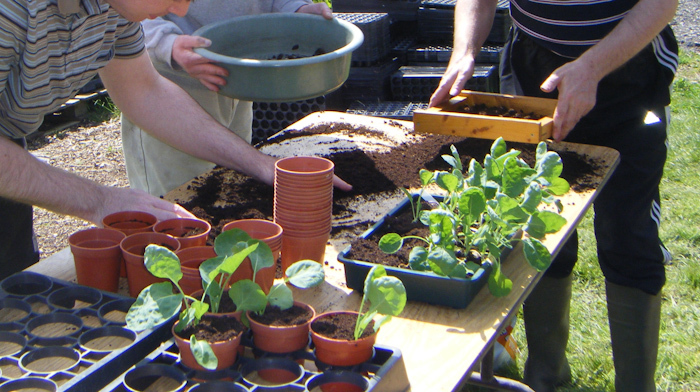 Through a diverse seasonally focused programme of land-based environmental activities, The Great Out-tours enrich & empower people with special needs, learning disabilities, dementia & mental health conditions, to see, interpret & understand the beauty, features & importance of our countryside. 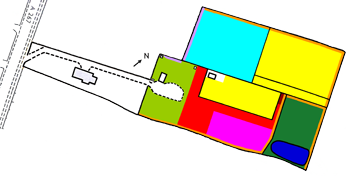 With this new found knowledge people can apply it to the context of their own lives increasing their quality of/appreciation for life. 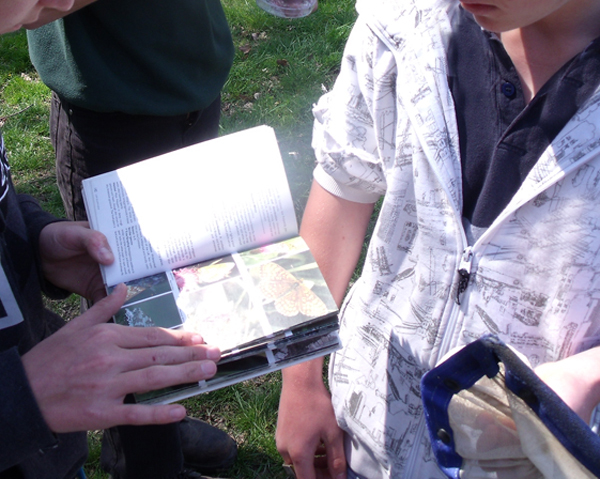 When you enrol with the great out-tours you are automatically placed on our ‘four seasons activity programme’ at woodside. 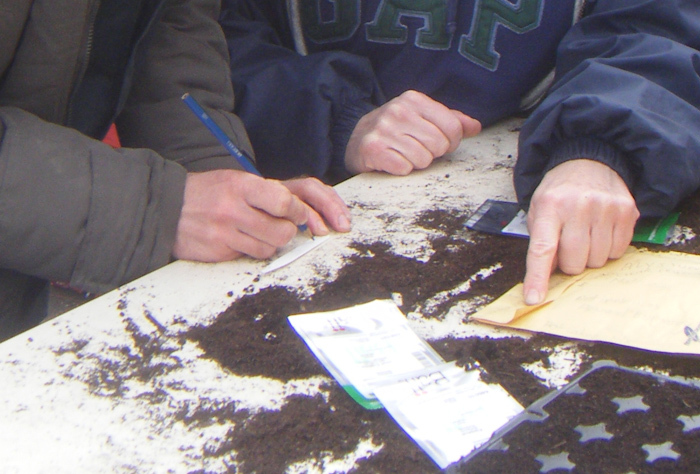 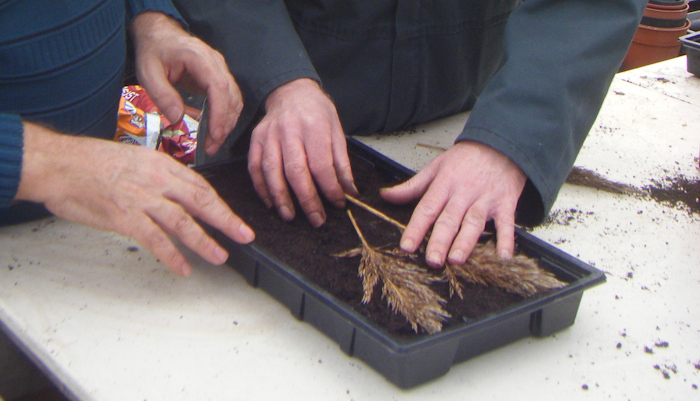 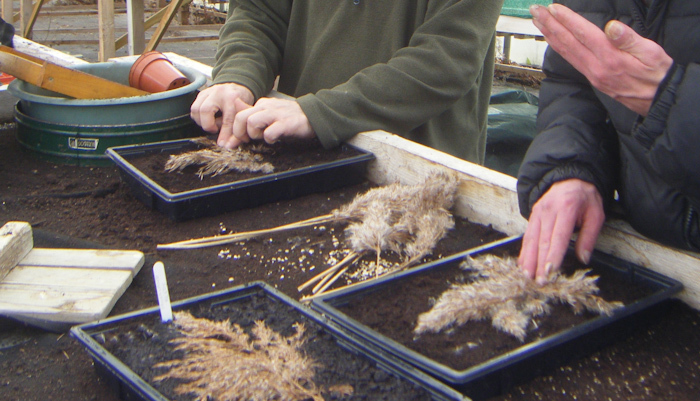 this training package incorporates the amazing flows of nature & farming across spring, summer, autumn & winter. 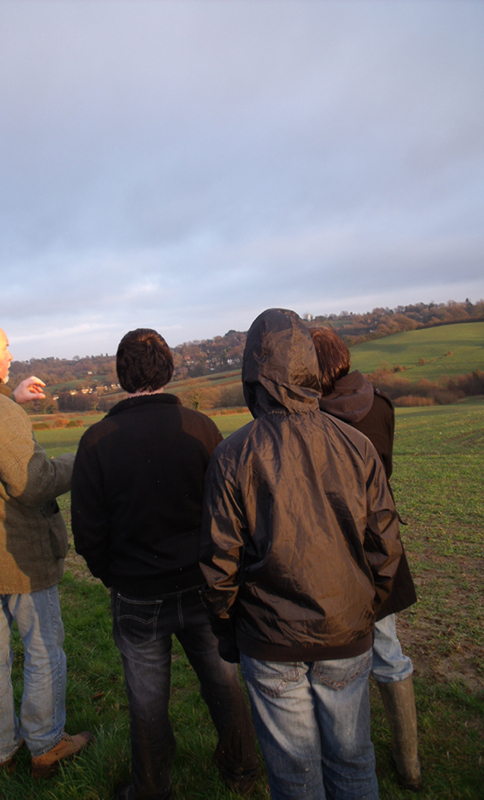 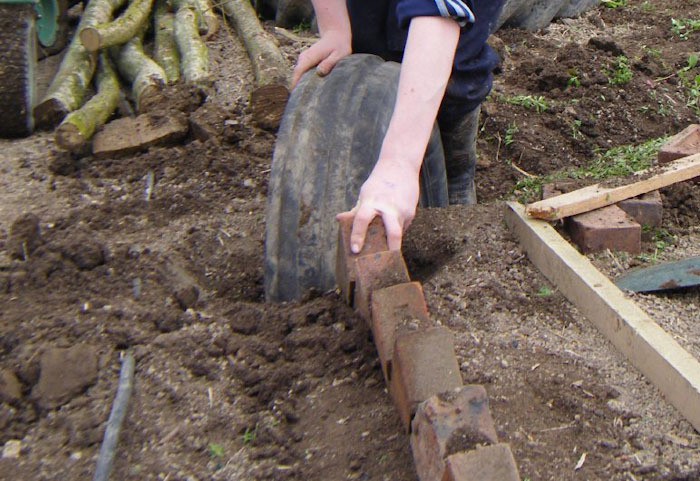 The programme comprises a learning theme framework made up of 10 land-based activity areas: 1. hedgerow management & wildlife survey 2. sustainable back yard project 3. grow your own 4. woodland management 5. natural beekeeping 6. livestock areas 7. traditional orchard 8. ponds: survey & management 9. scrub management & survey 10. wildflower meadows & grassland management. 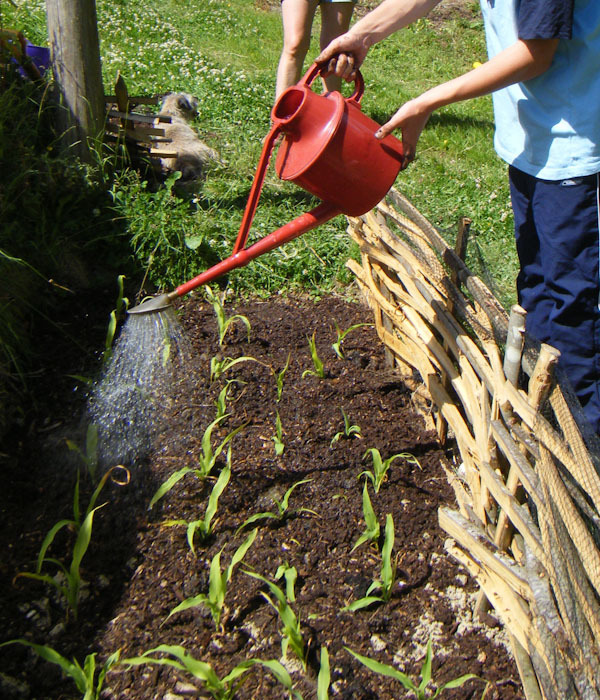 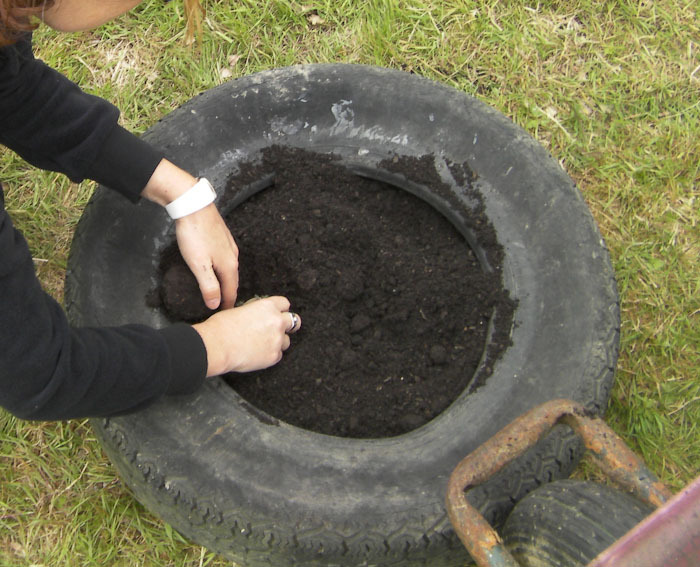 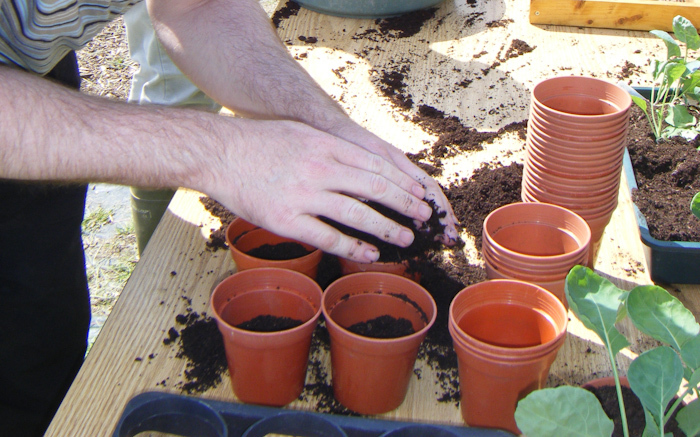 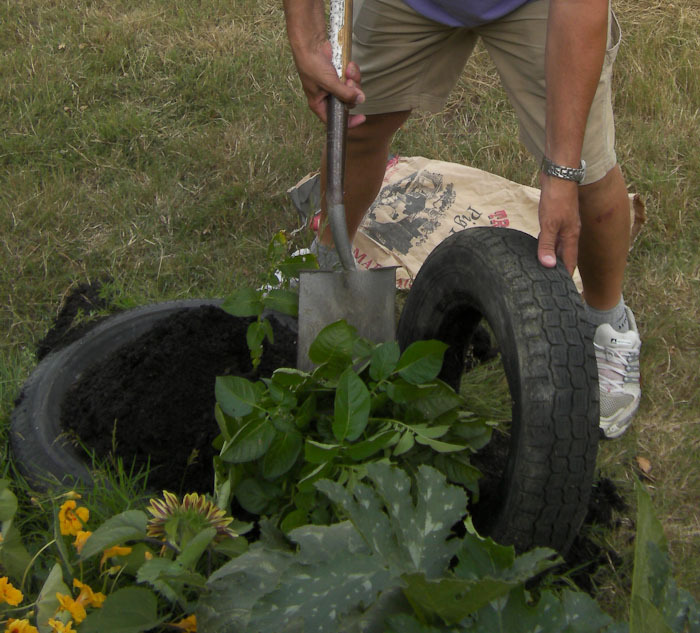 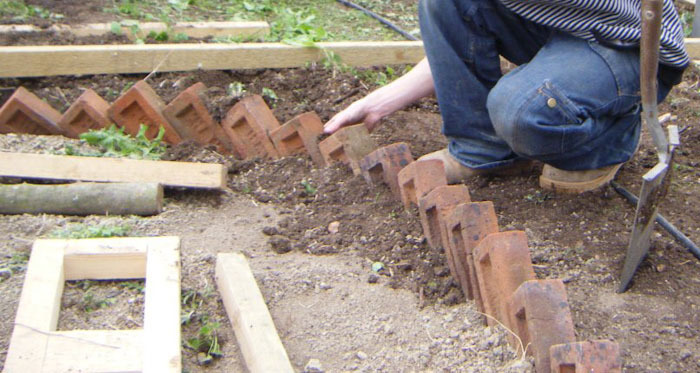 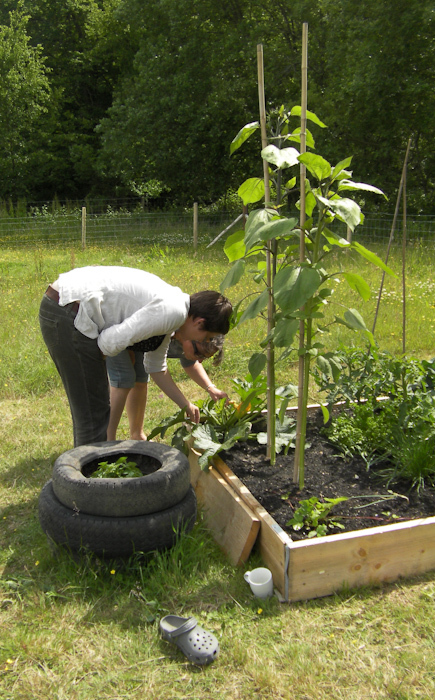 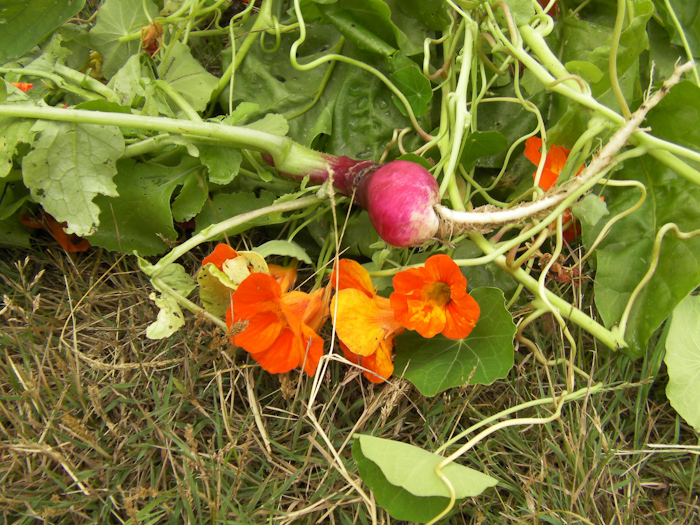 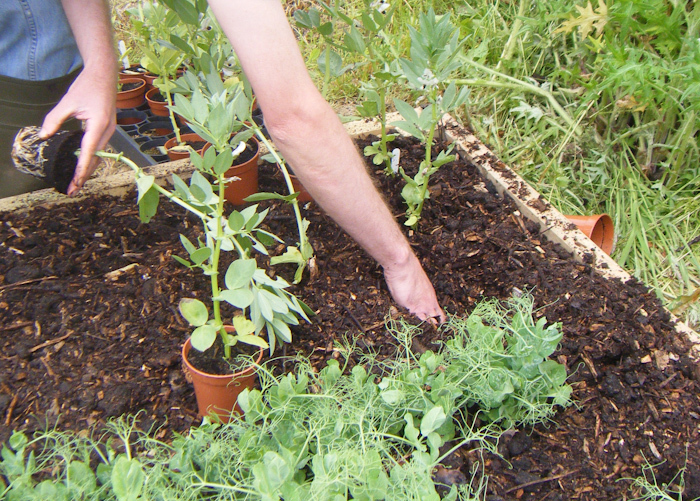 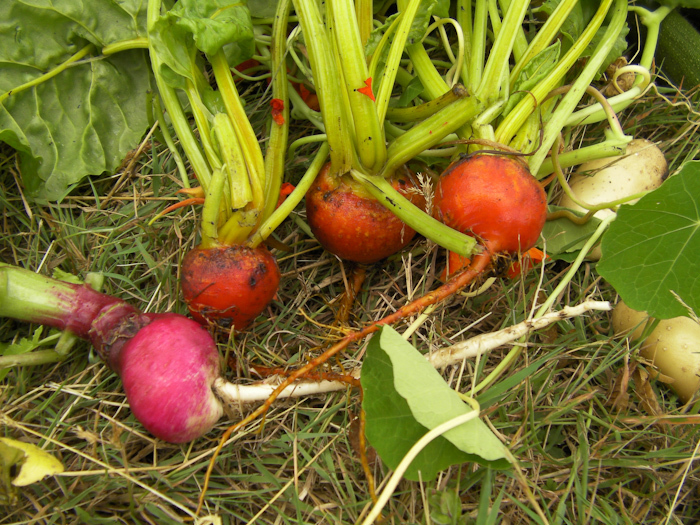 Learn about the principles of sustainable living in your own home/garden space. 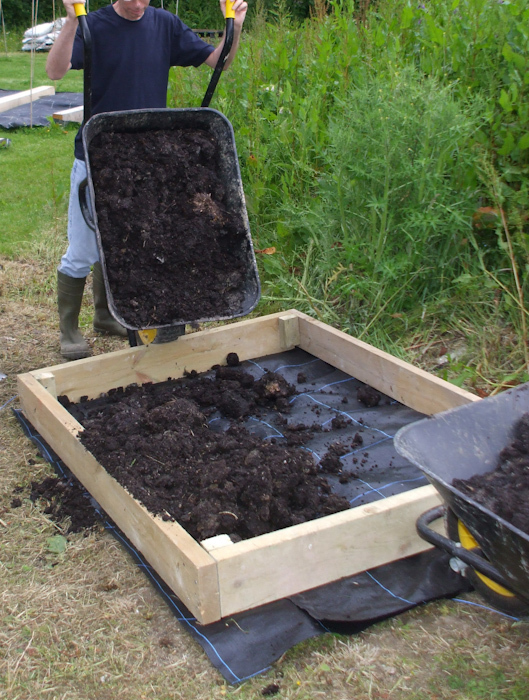 Take part in creating this fascinating project converting a grass plot to a thriving self sustaining source of food, wildlife & enjoyment. 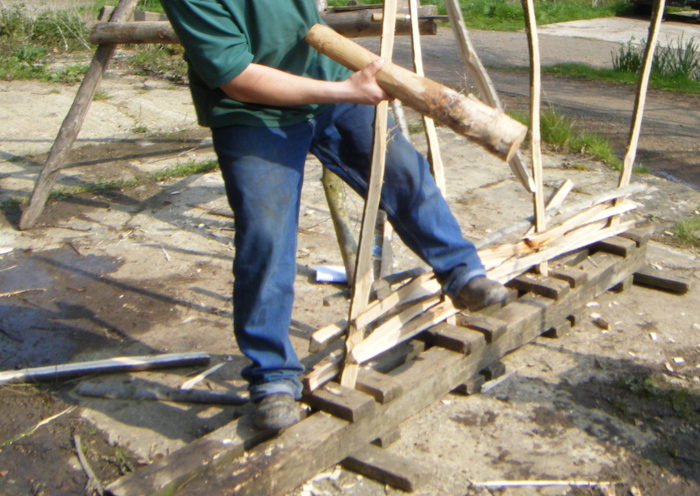 Make various wooden structures i.e. 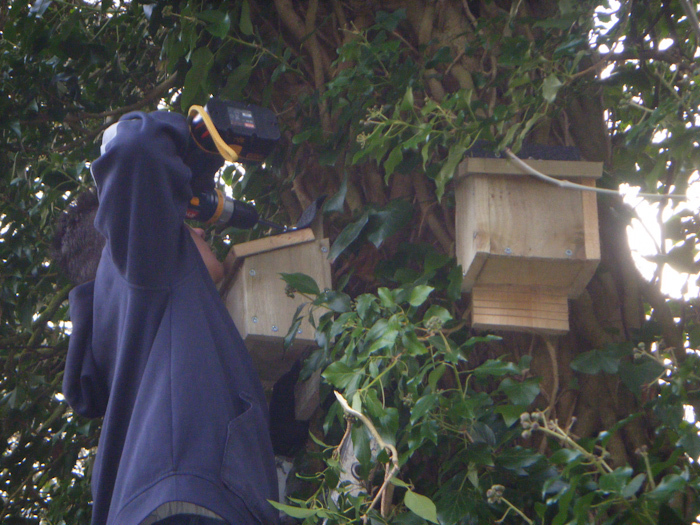 bird feeders / tables. 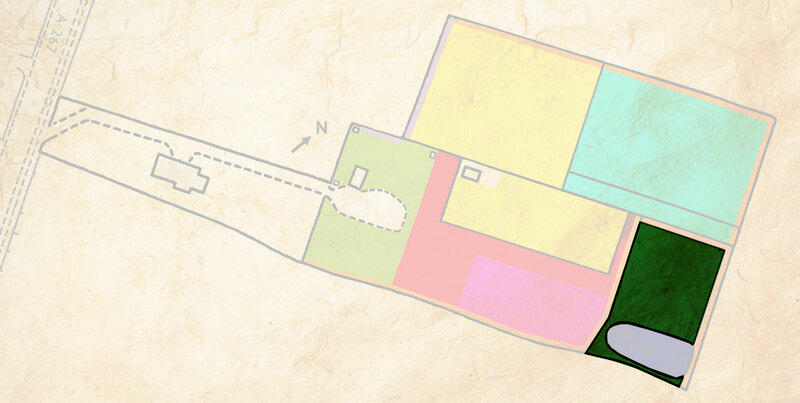 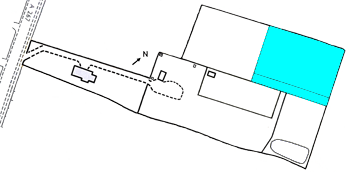 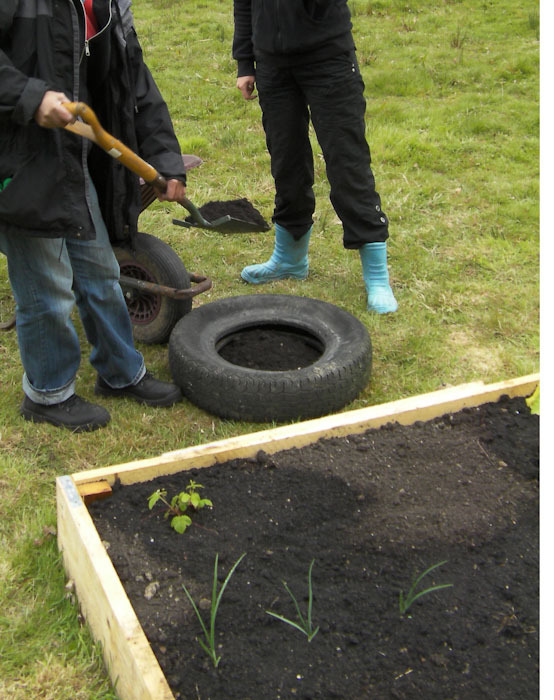 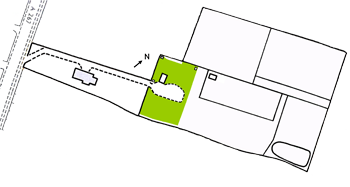 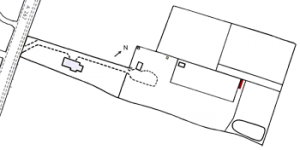 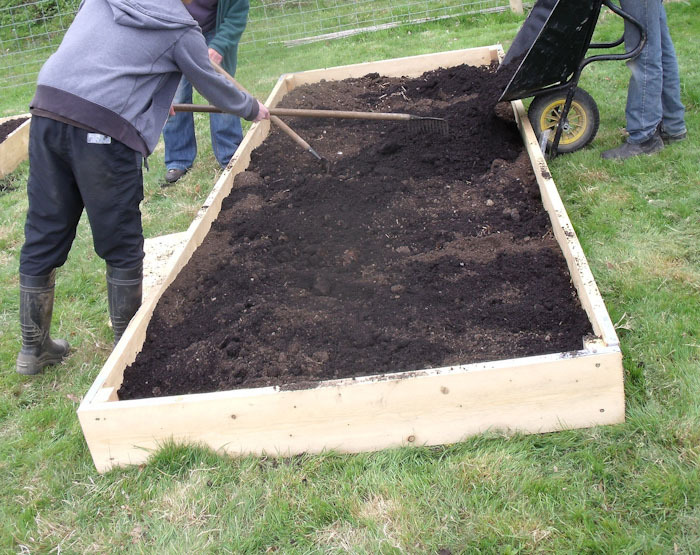 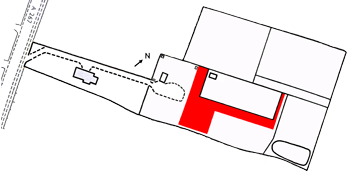 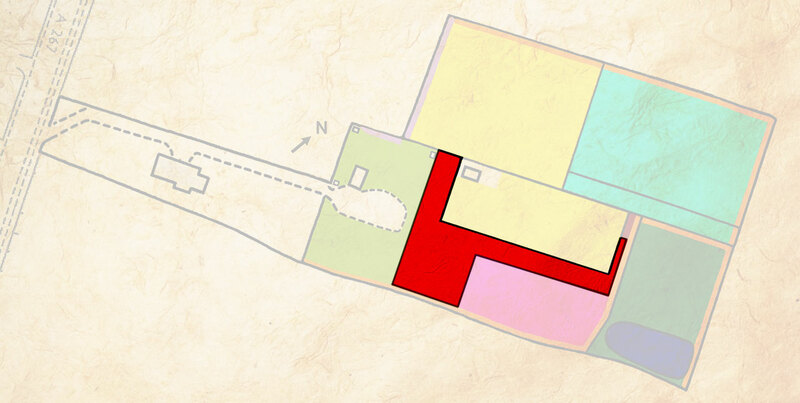 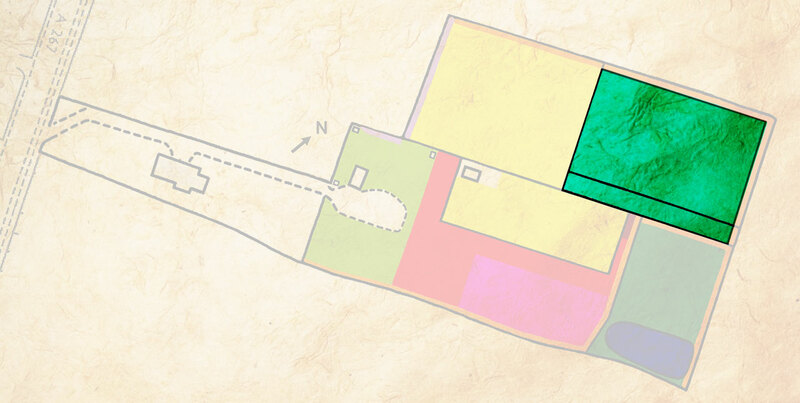 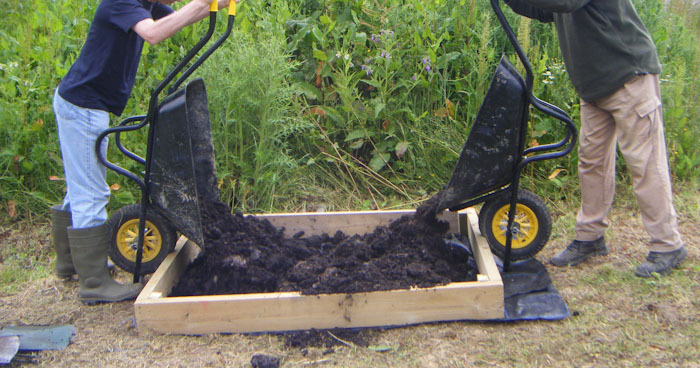 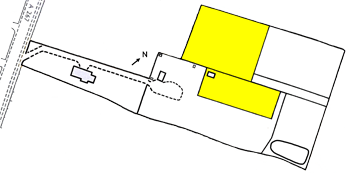 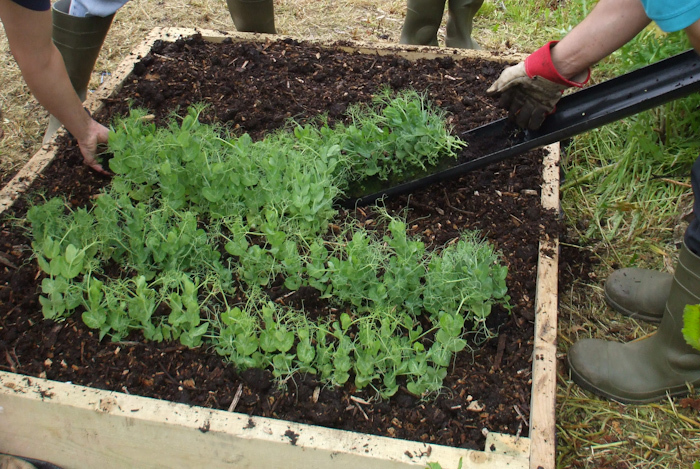 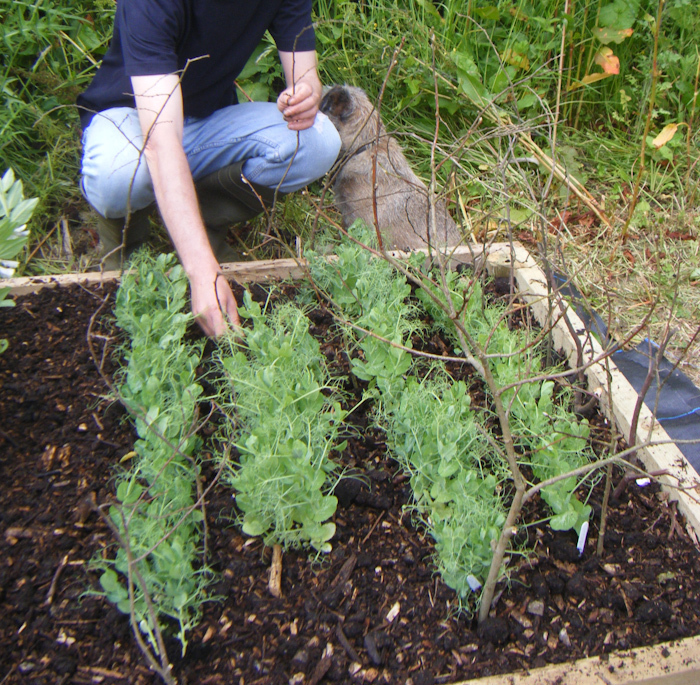 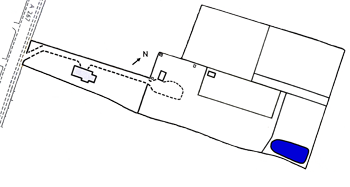 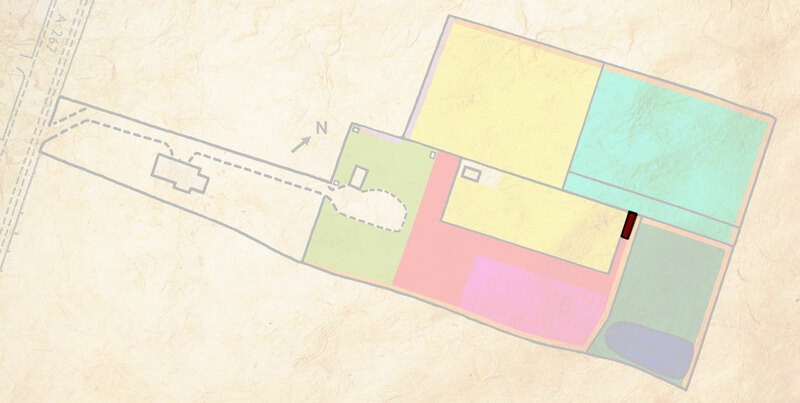 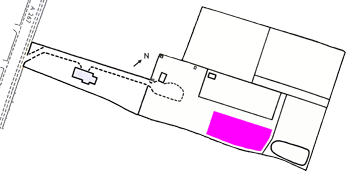 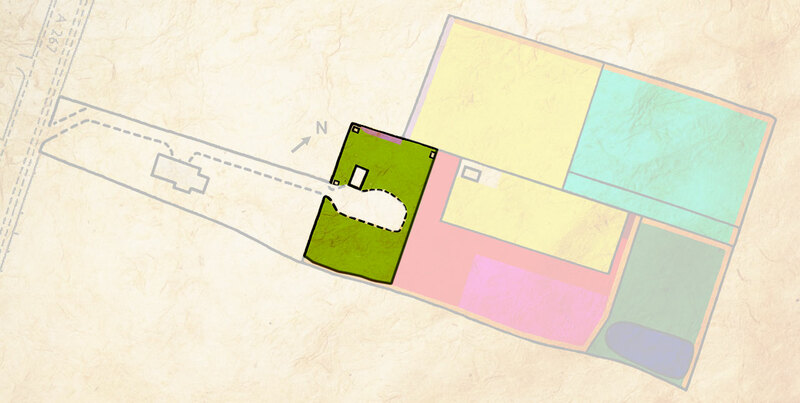 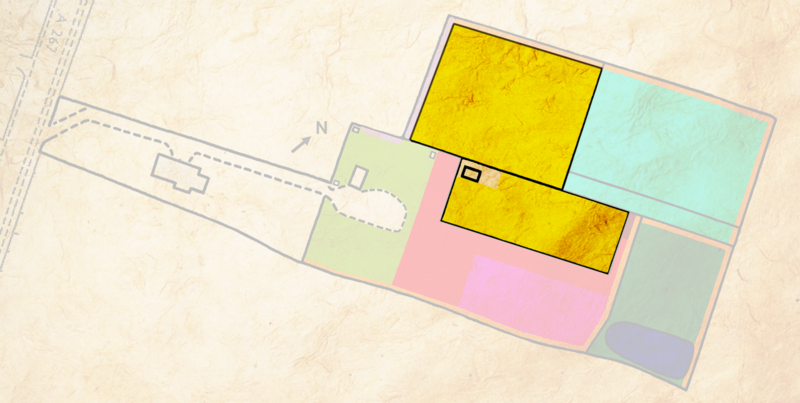 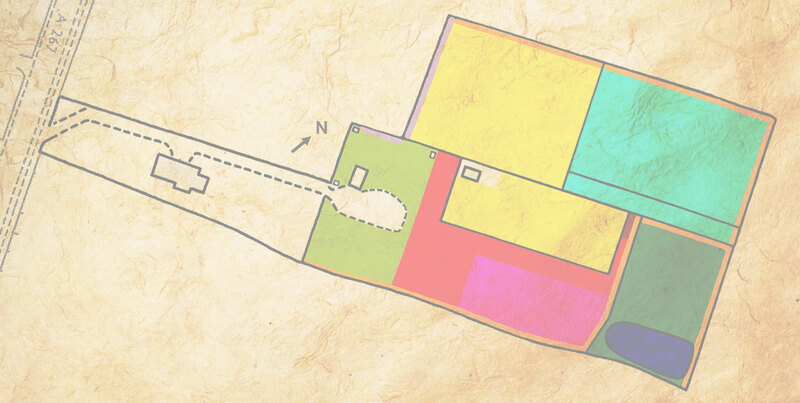 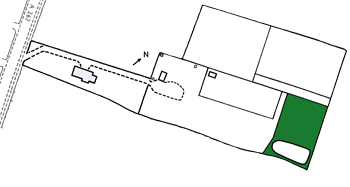 help design the plot layout to include: a vegetable area with raised beds, wildlife garden, pond, chicken enclosure, pig pen, tool/potting shed, recreational area & path. 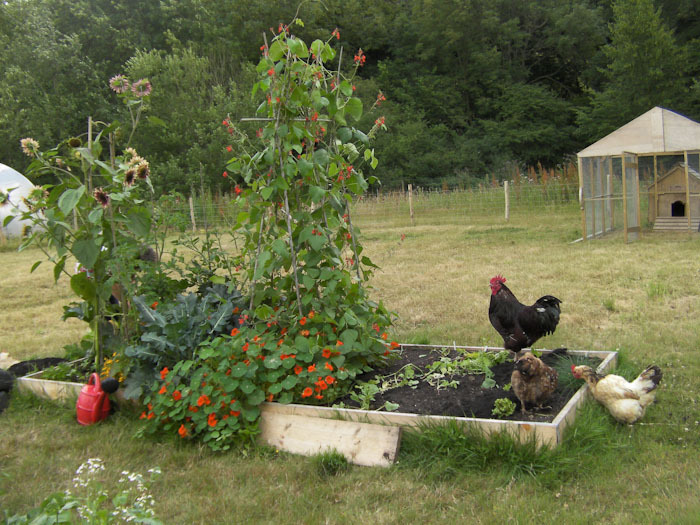 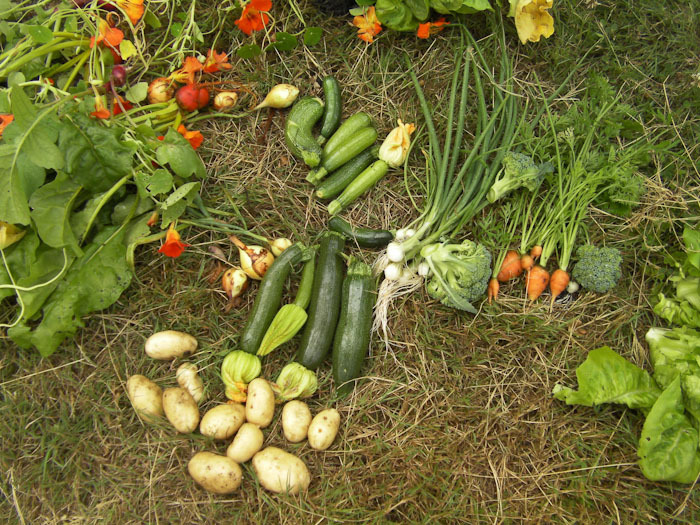 Learn about the essential link between own food production, sustainable garden management & wildlife. 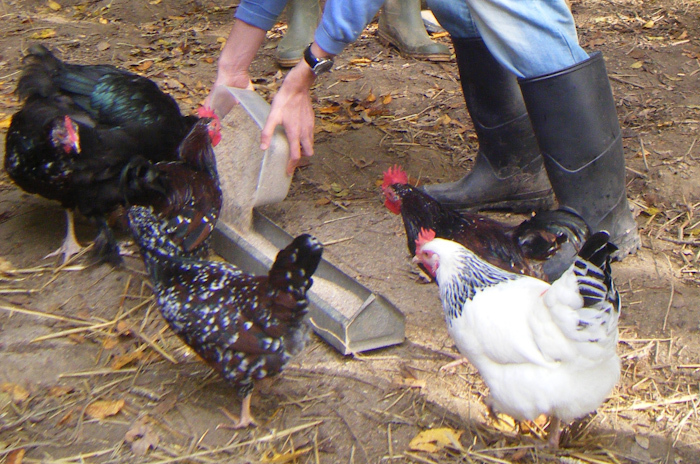 Carry out morning/afternoon feeding routines for cows, sheep, pigs, chickens & ducks. 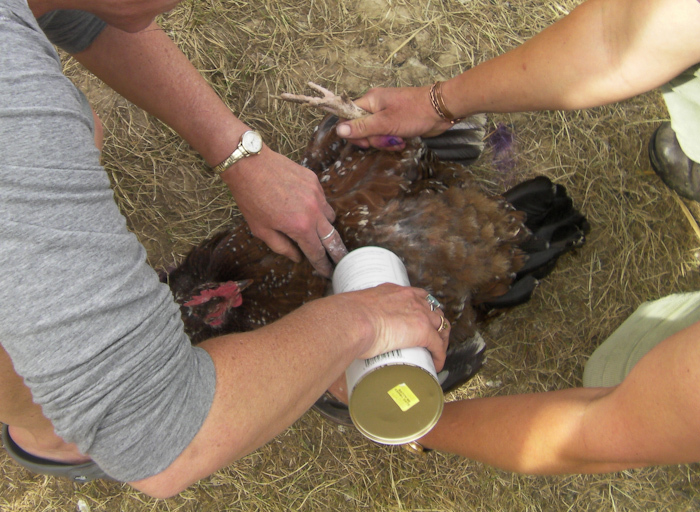 Carry out basic animal conditioning inspections & medicating routines. 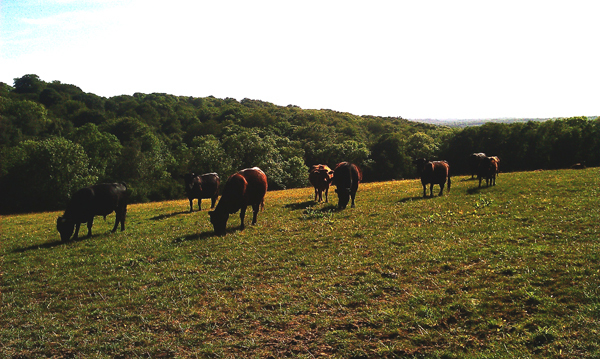 Move animals from field to field in accordance with site hay rotation plan. 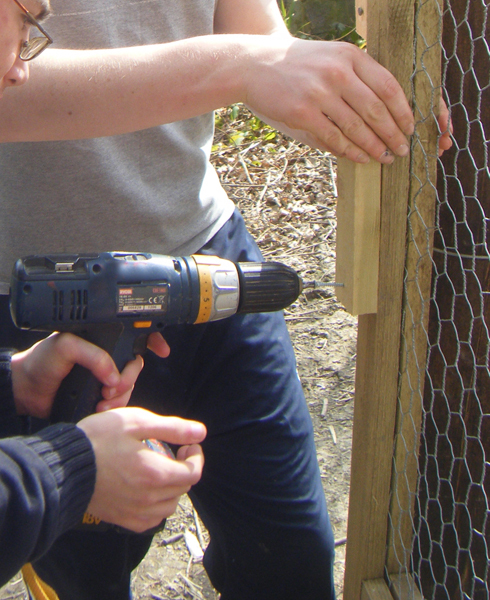 Construct chicken & duck houses. 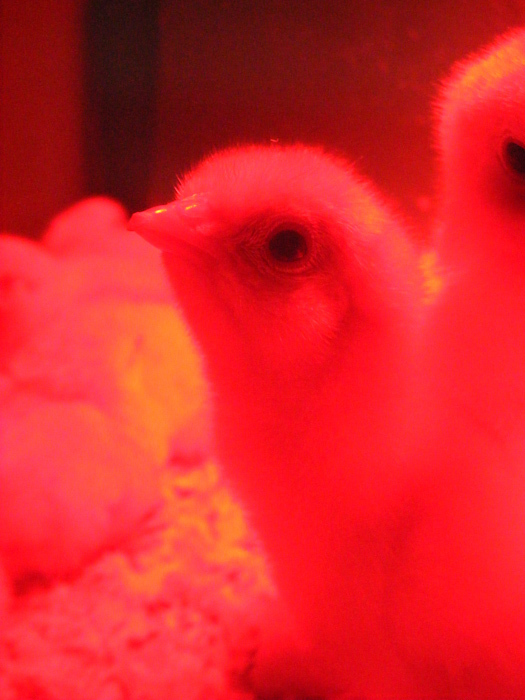 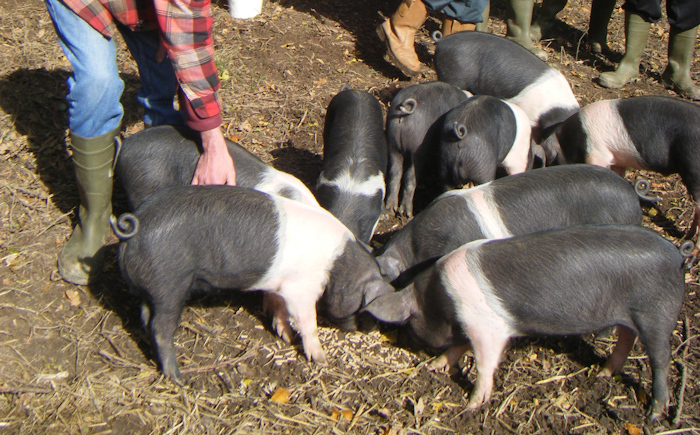 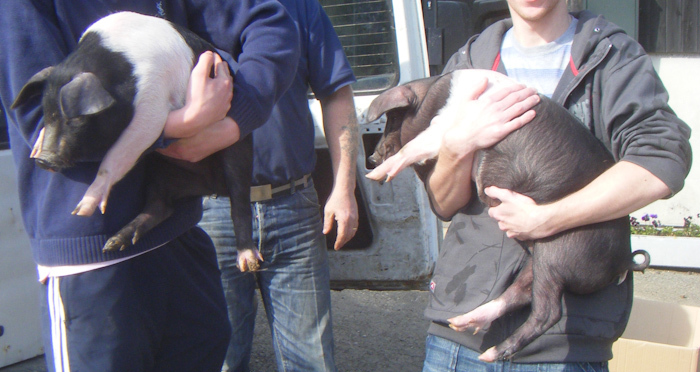 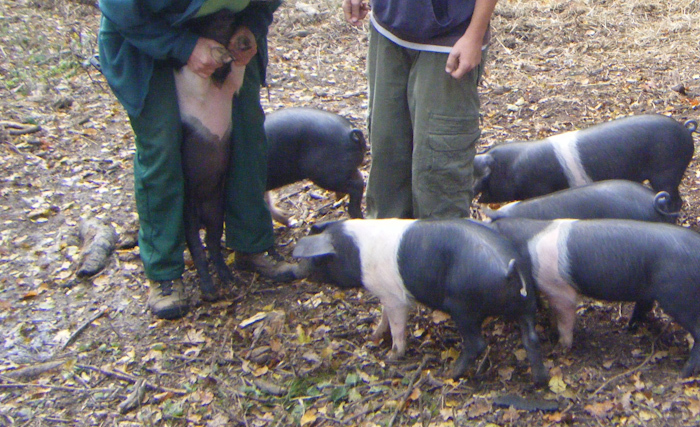 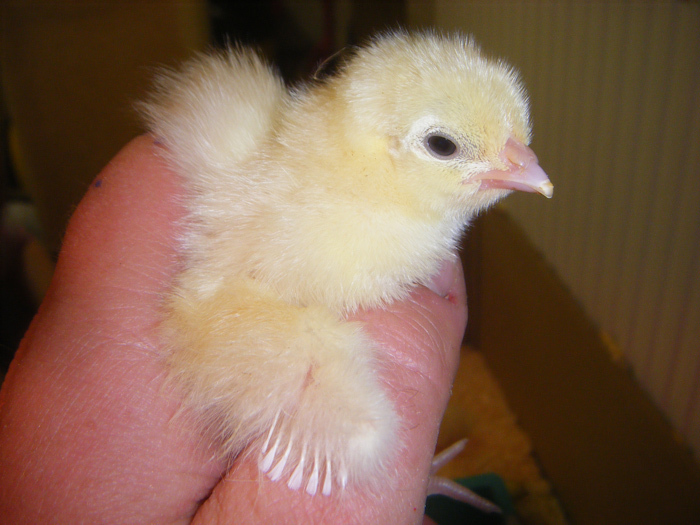 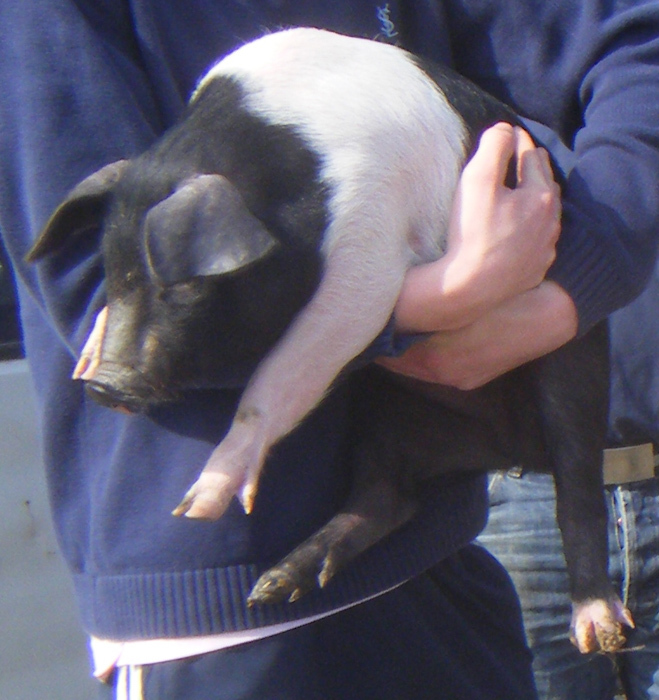 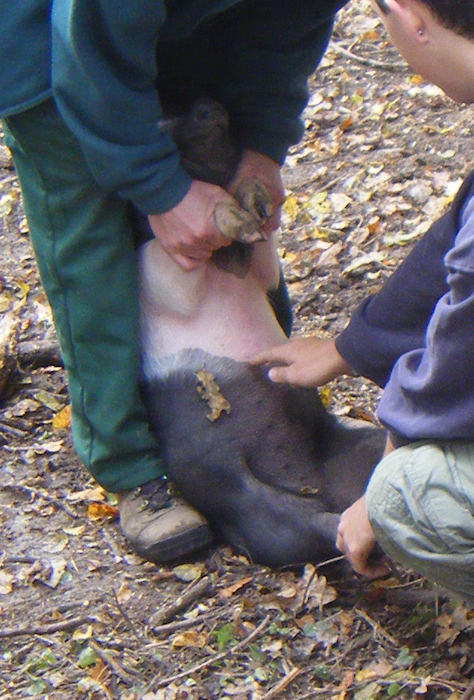 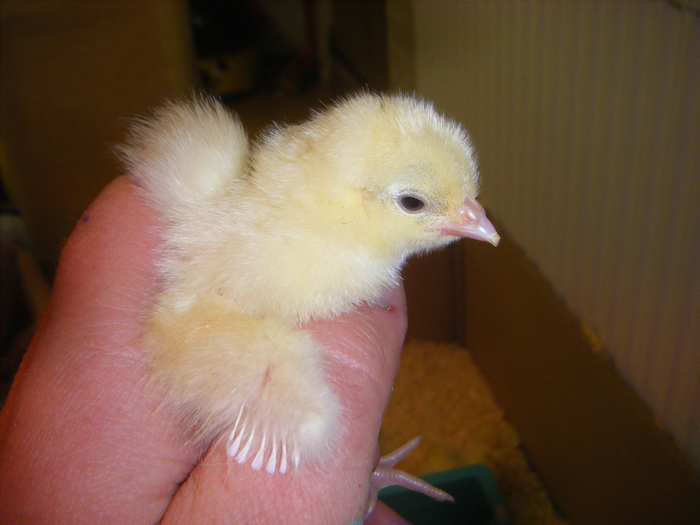 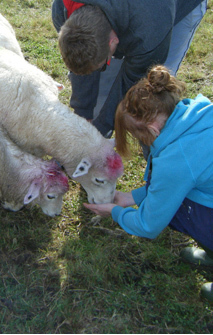 Take part in basic animal handling with emphasis on new born calves, lambs, piglets, chicks & ducklings. 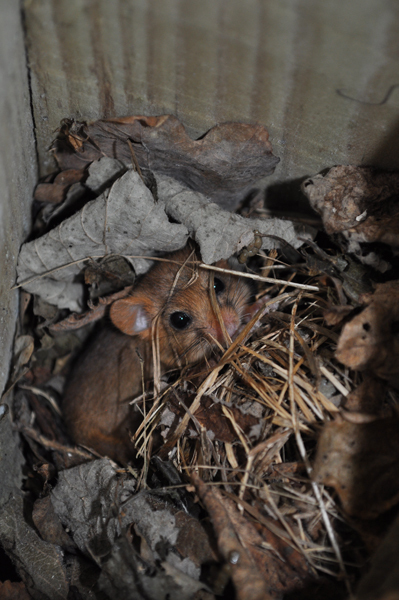 Learn about the habitat requirements of the internationally rare dormouse. 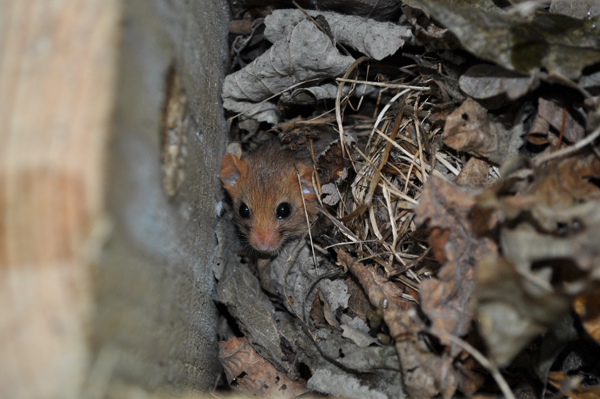 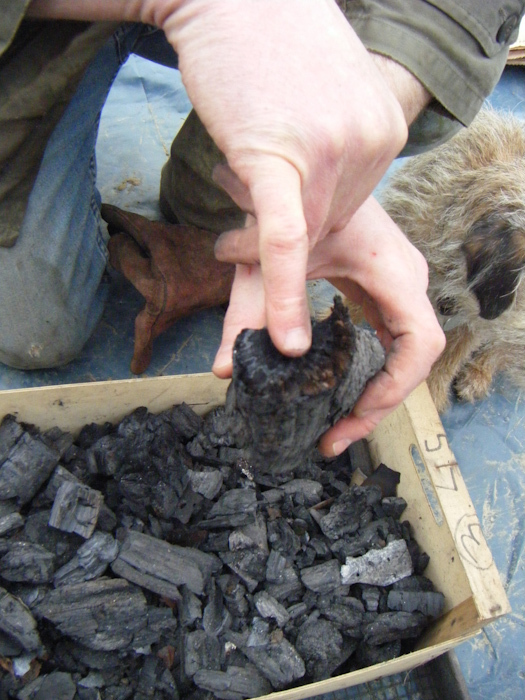 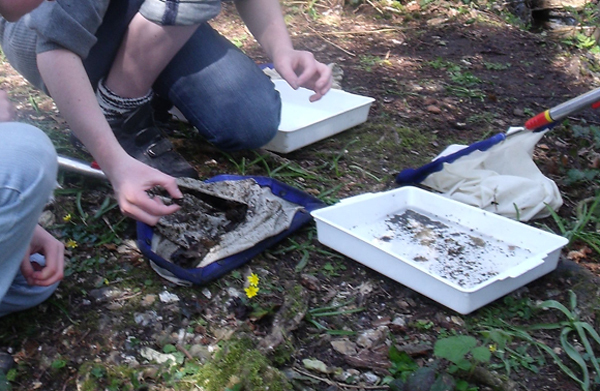 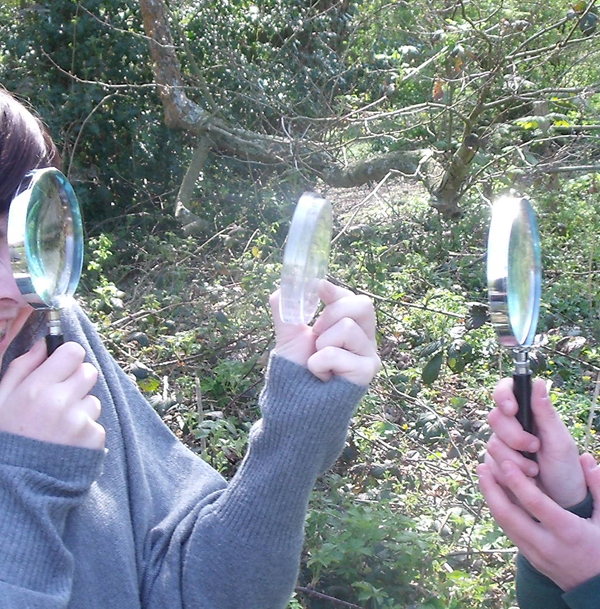 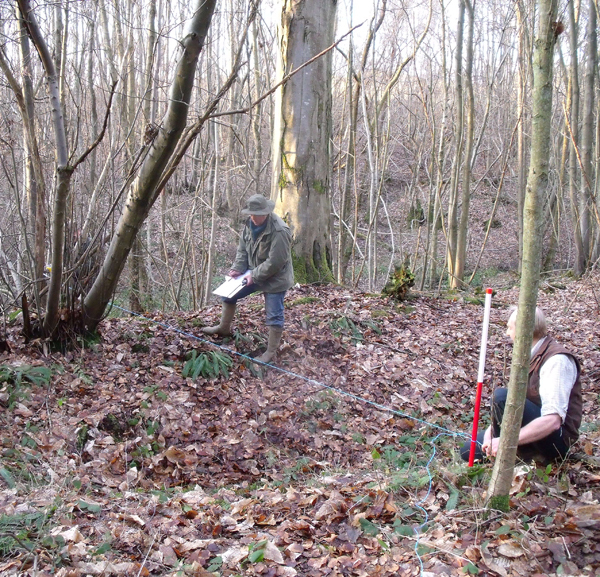 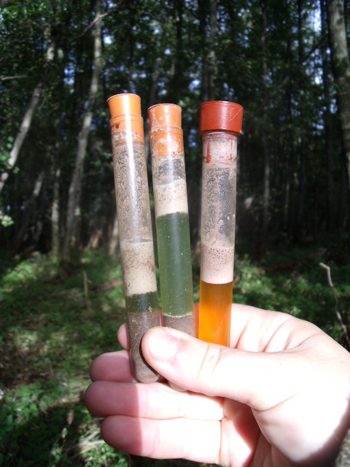 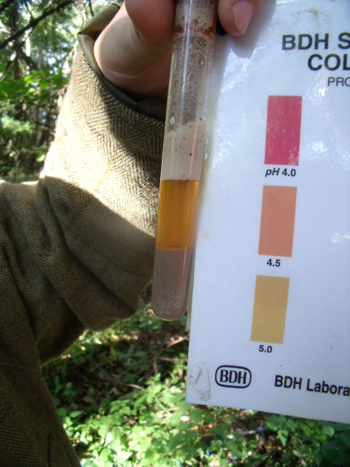 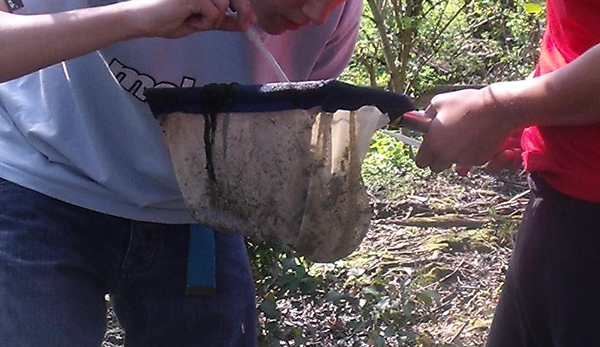 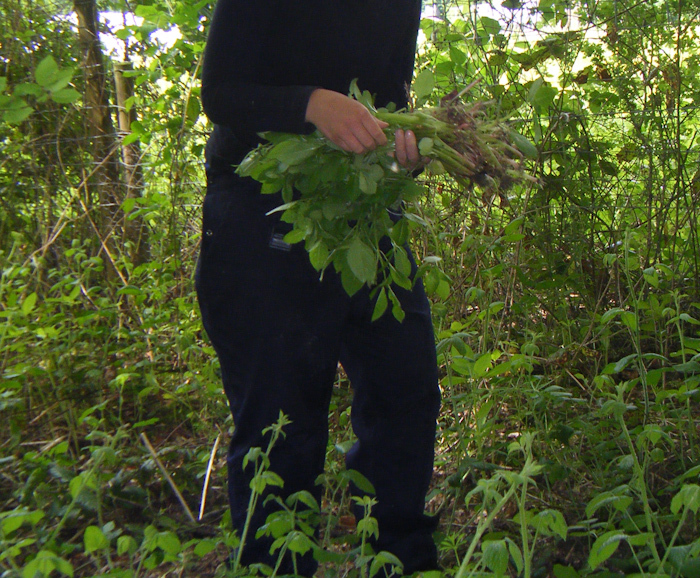 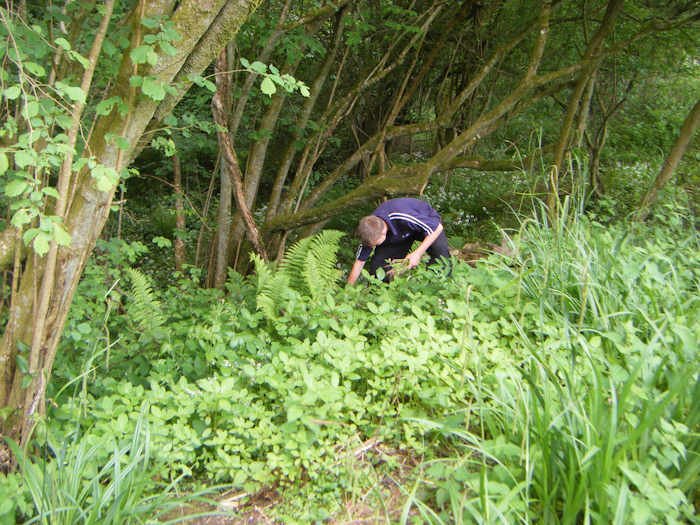 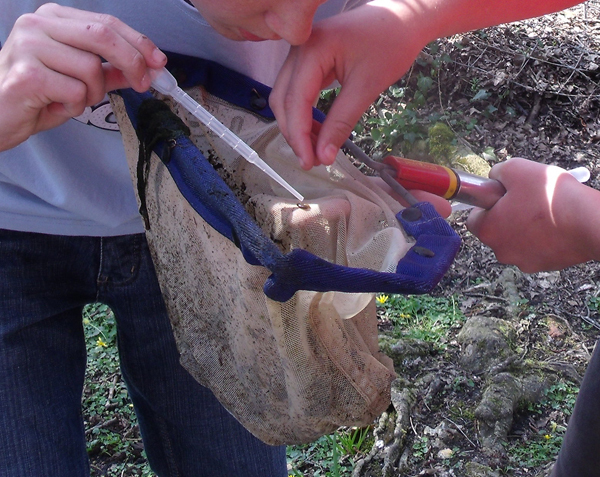 Survey the woodland for dormice/other mammals & plants using a variety of interesting methods. 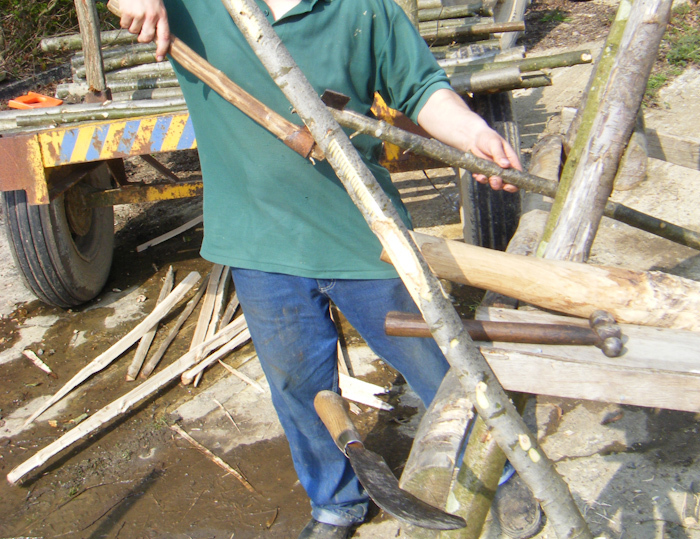 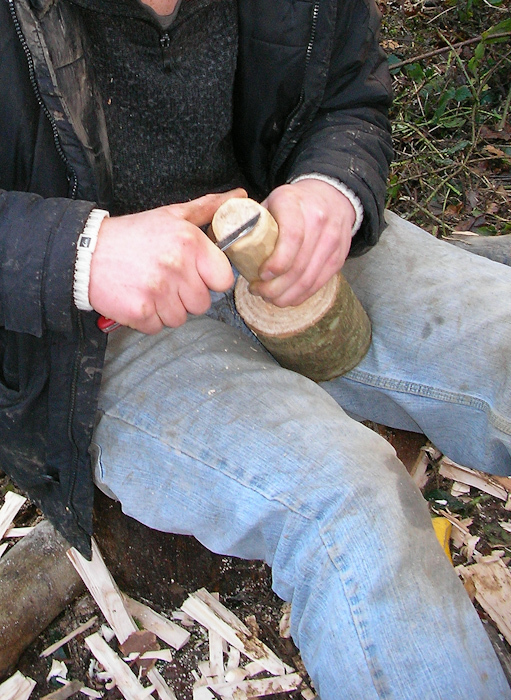 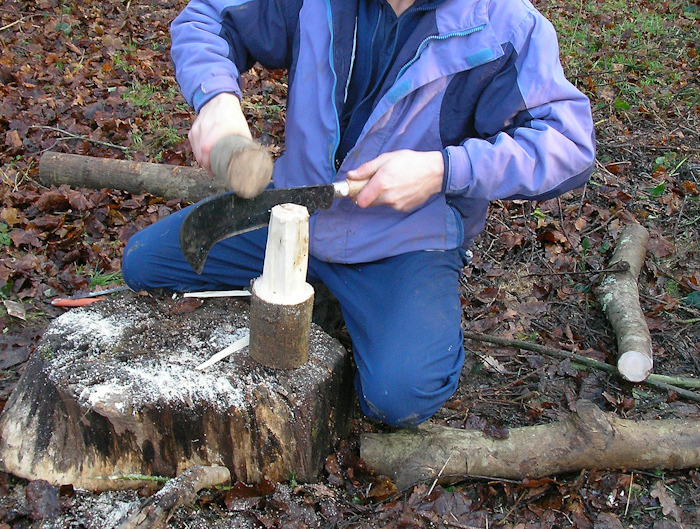 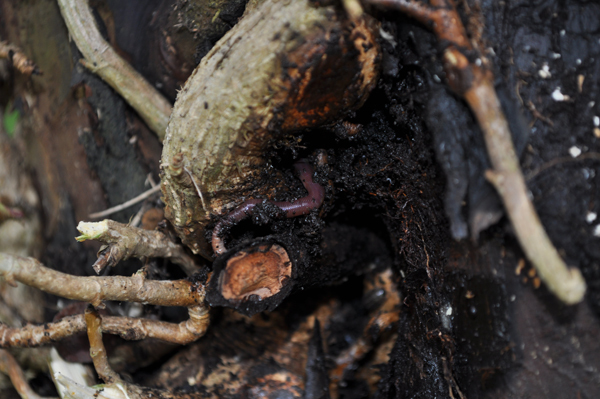 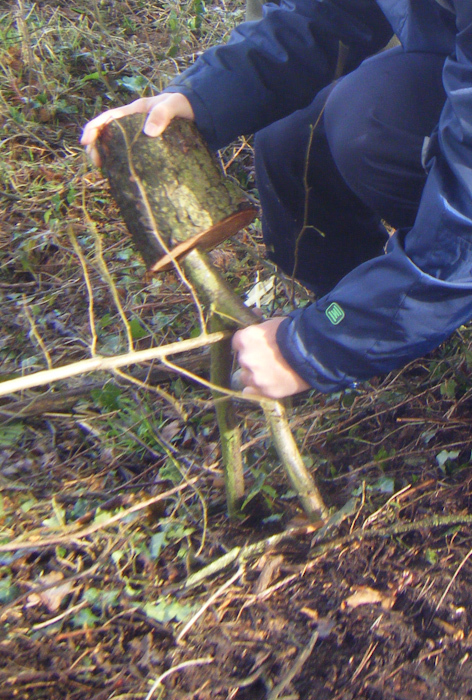 Coppice selected hazel tree areas within woodland using a variety of hand tools. 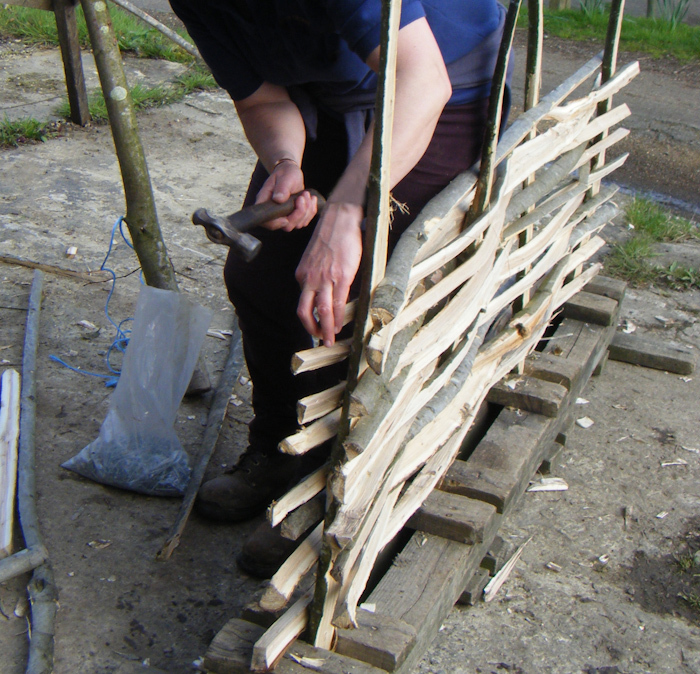 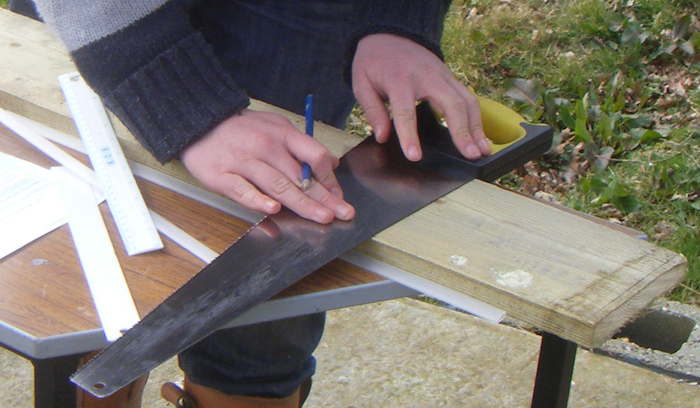 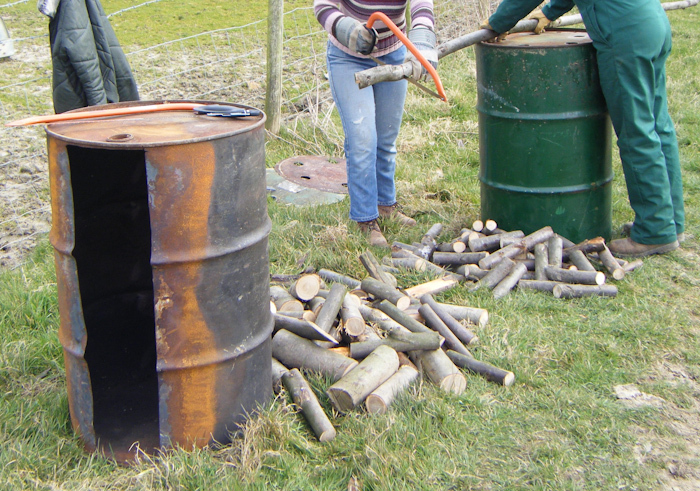 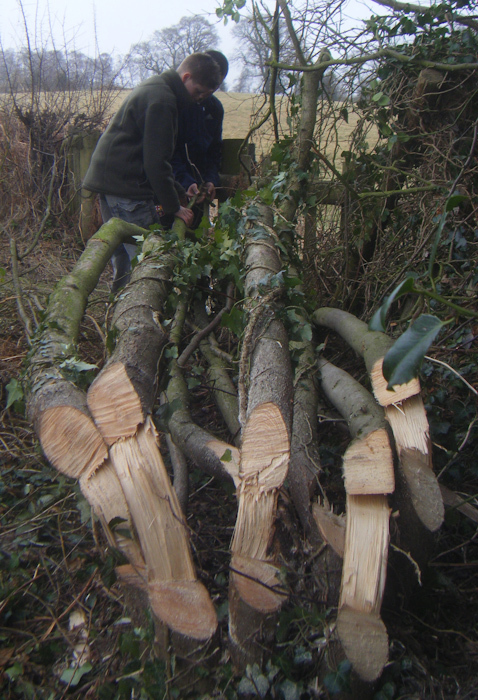 Select hazel ‘stakes & binders’ cutting to lengths for use in rural craft works (hurdle making, hedge laying). 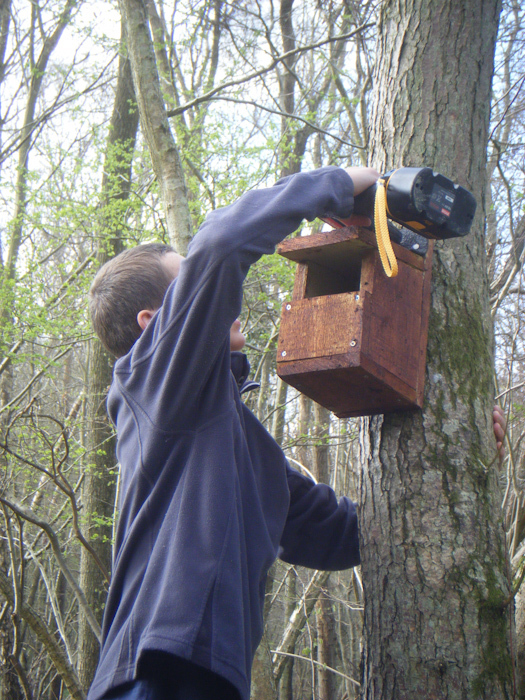 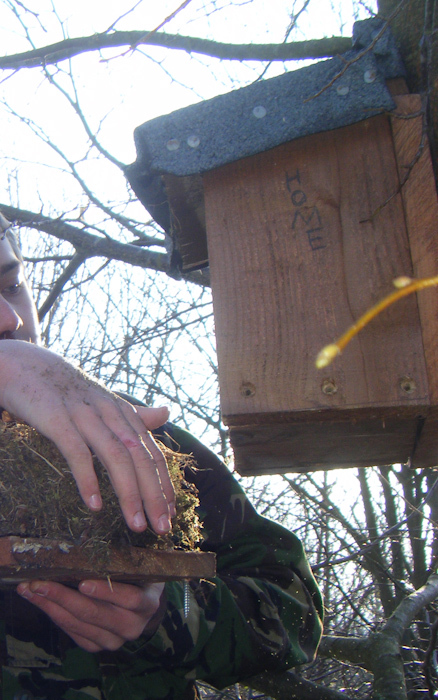 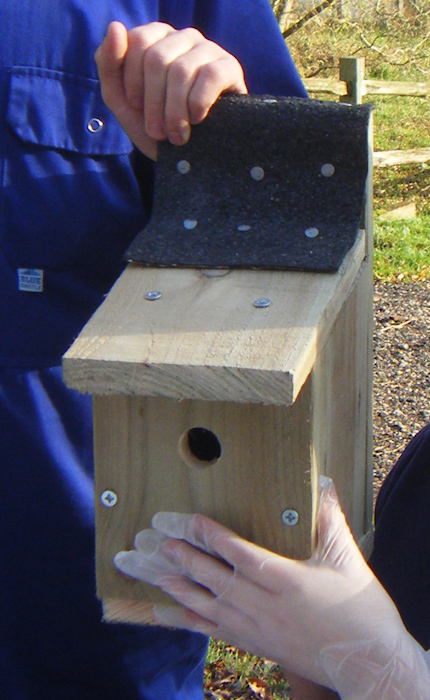 Make wooden dormice/bird/bat nest boxes & place around woodland. 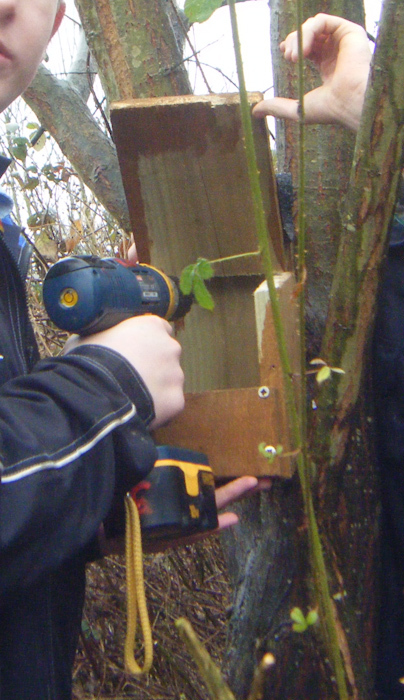 Create dormouse/bird/bat nestbox location grid map for pre-made boxes. 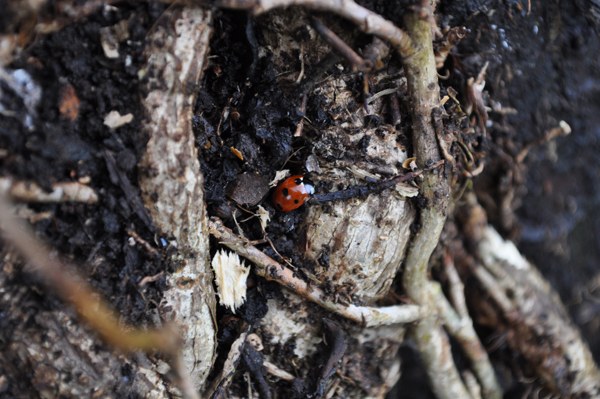 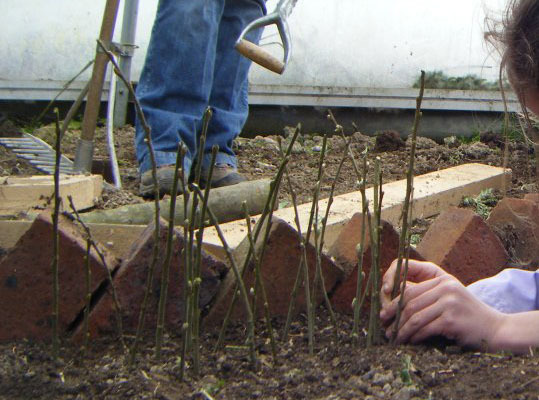 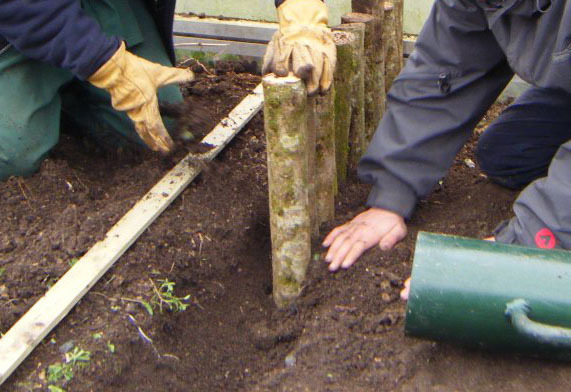 Help create a new wildlife rich hedge using young plants you’ll select & dig from the site’s own woodland. 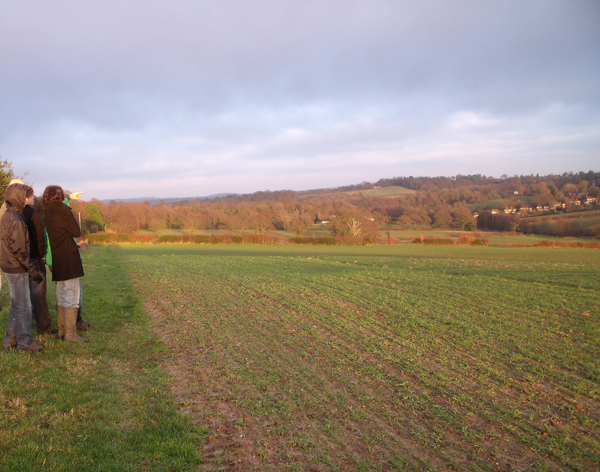 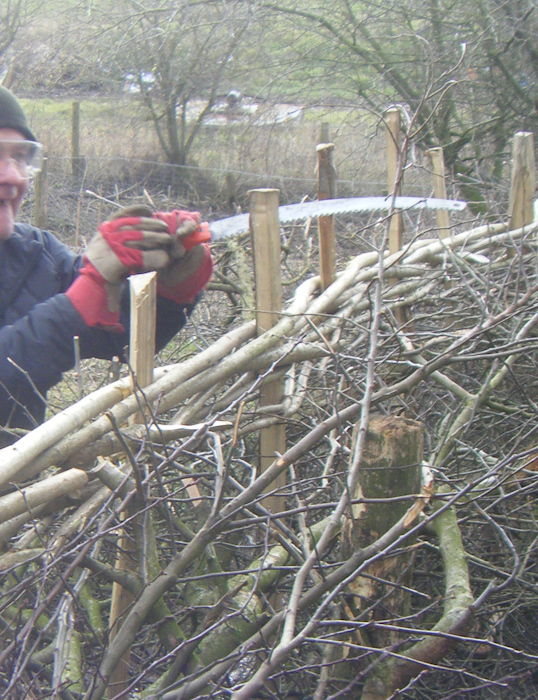 Learn all about the role & importance of hedgerow habitat for wildlife, farming & garden health. 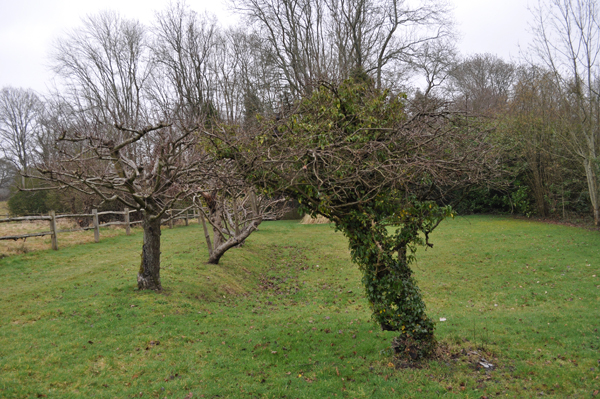 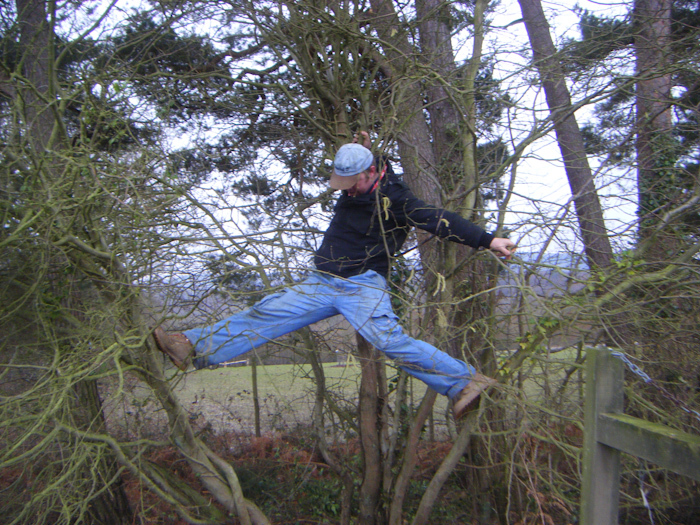 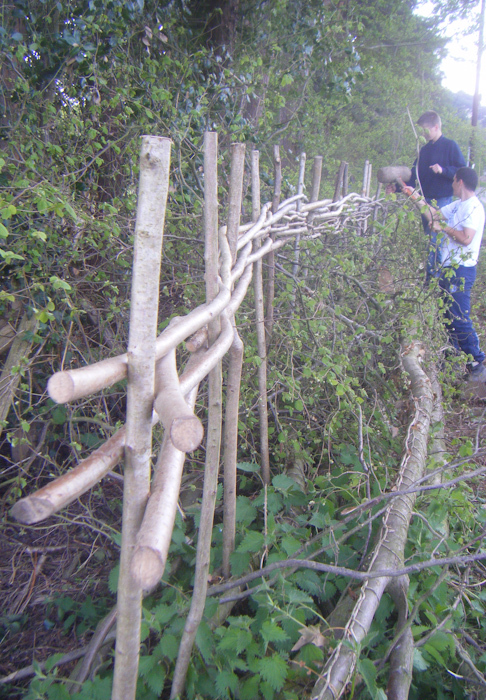 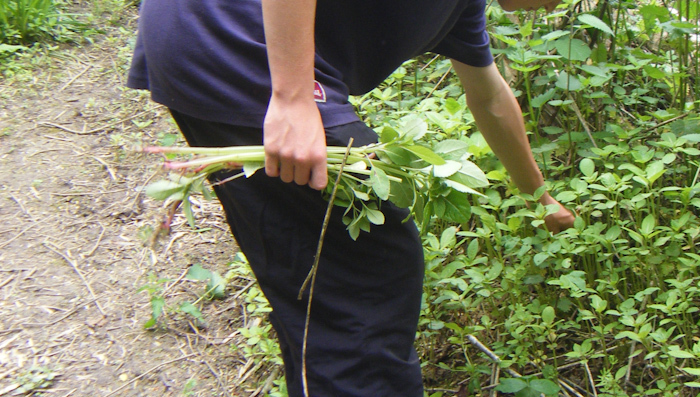 Learn about the traditional methods of hedgerow management. 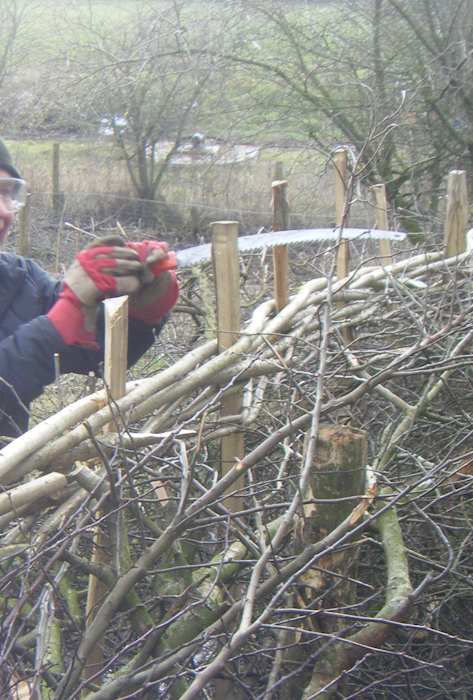 Regenerate a defunct hedgerow to create a neat, thick & wildlife friendly hedgerow. 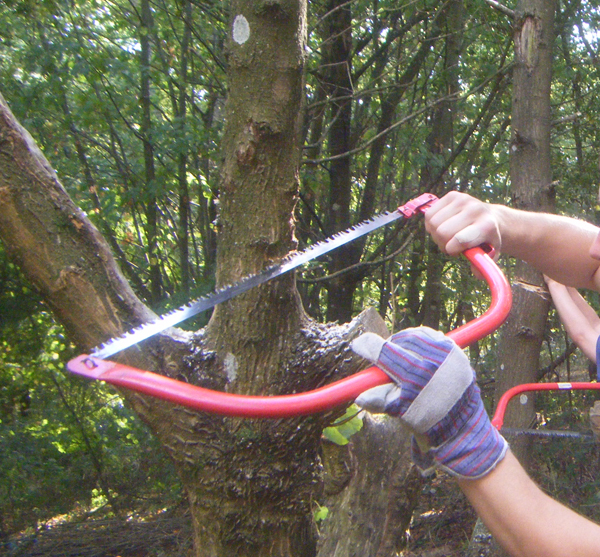 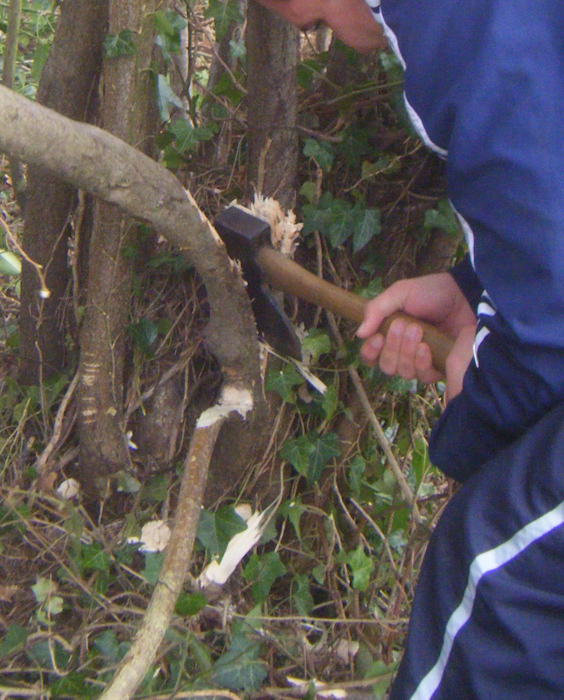 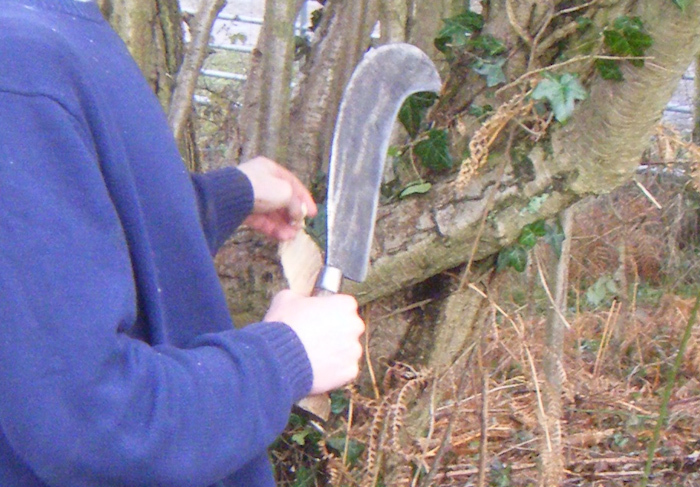 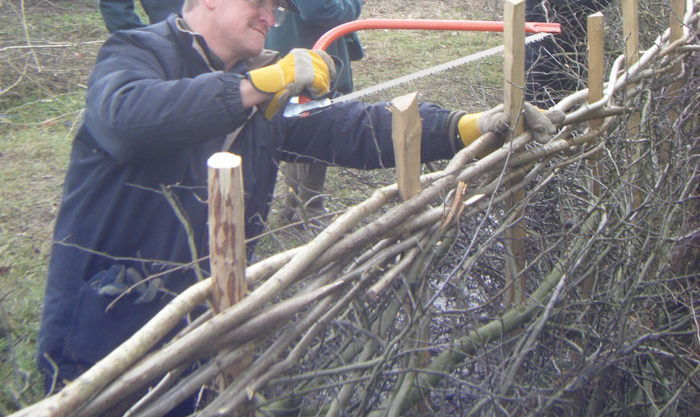 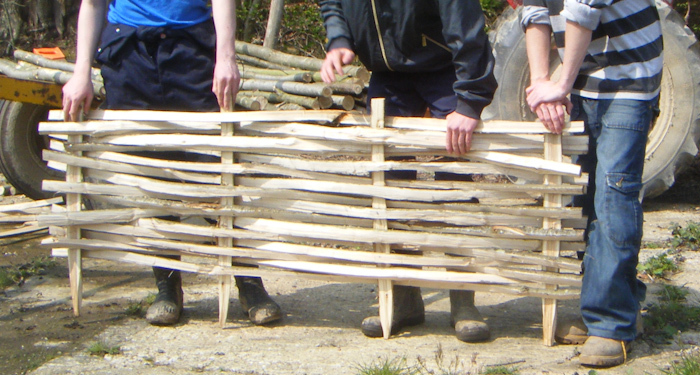 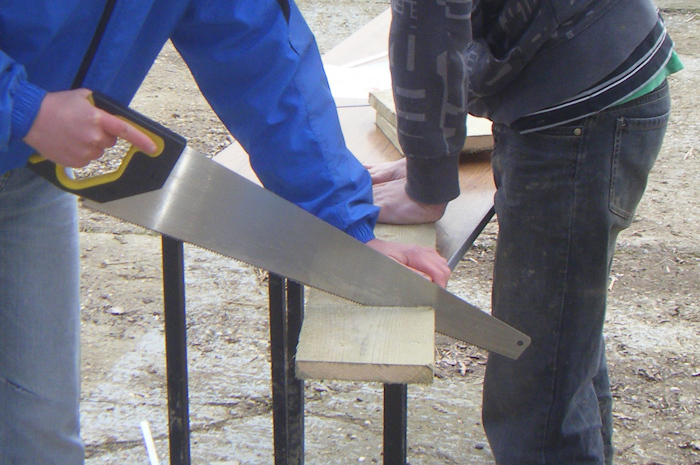 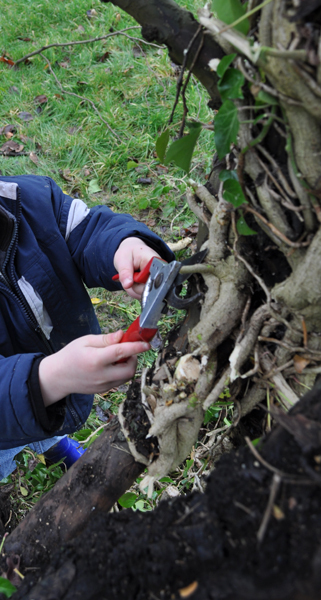 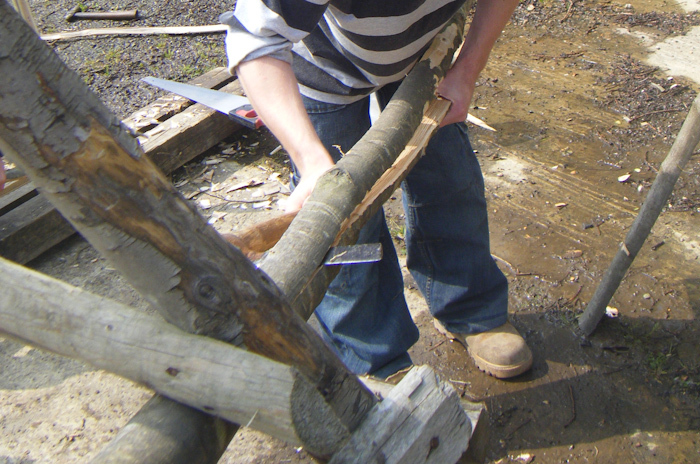 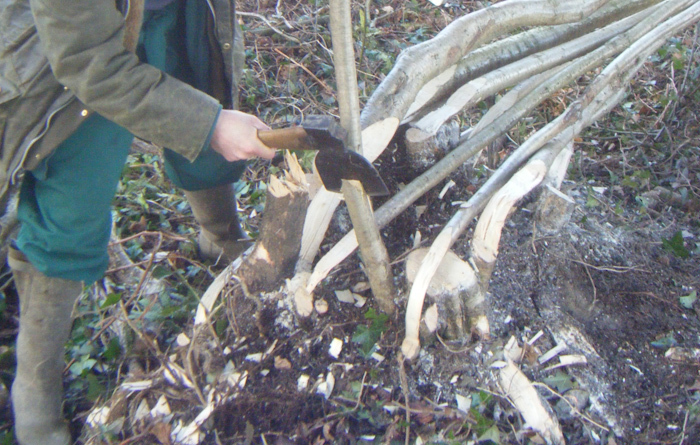 Have a go at traditional hedge laying using a variety of hand tools to lay vegetation. 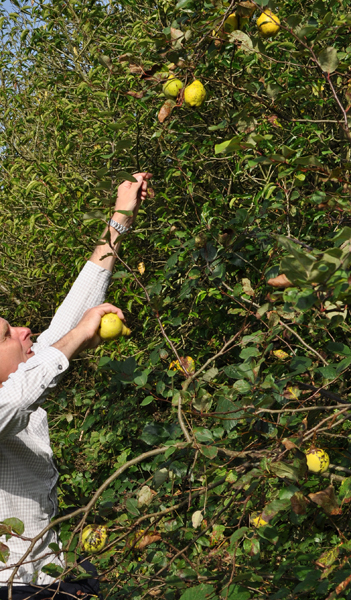 Learn about the wildlife & community benefits of traditional orchards. 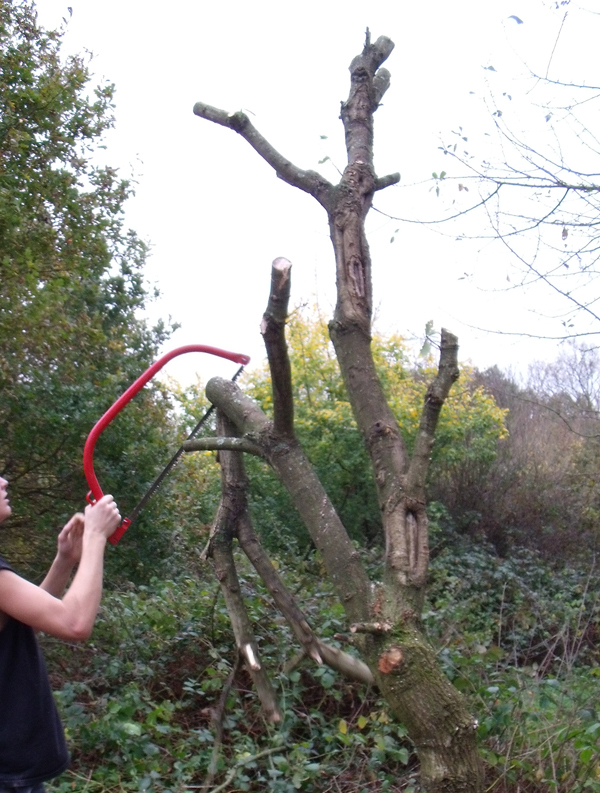 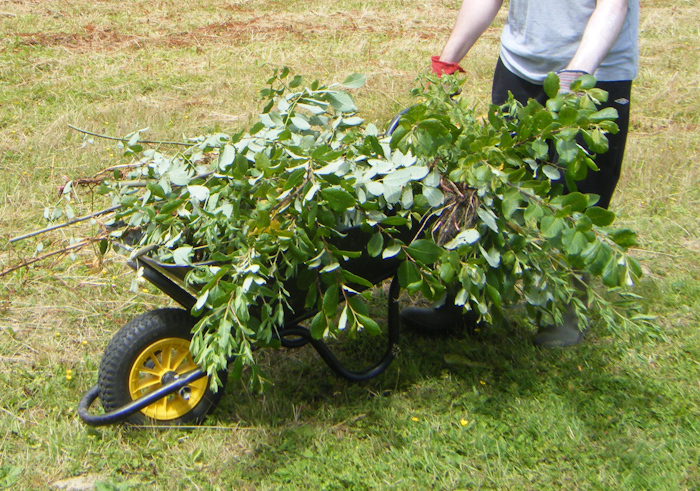 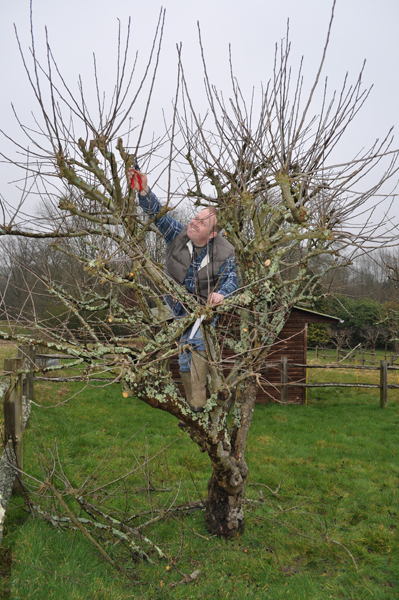 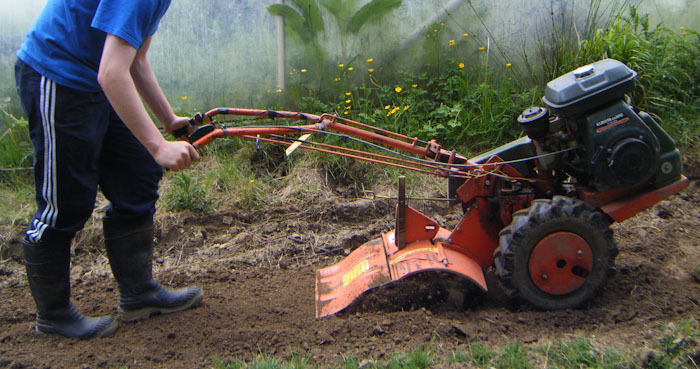 Assist in the pruning of existing fruit trees using a variety of hand tools. 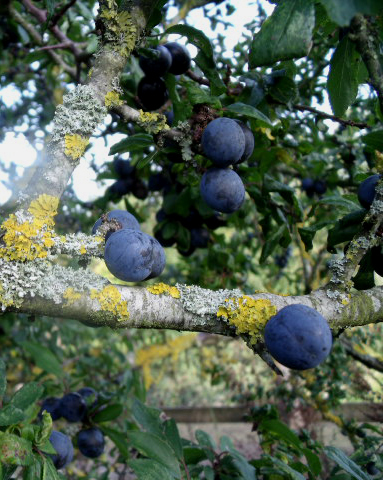 Pick fruits & learn about their many uses. 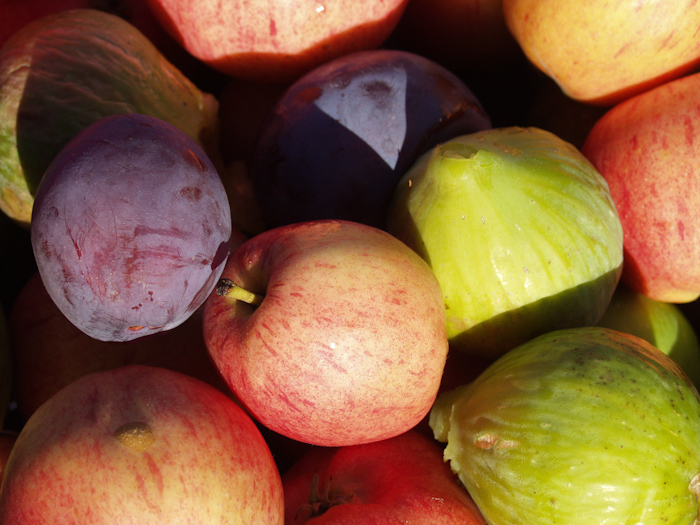 Use fruits to make a variety of juices & jams. 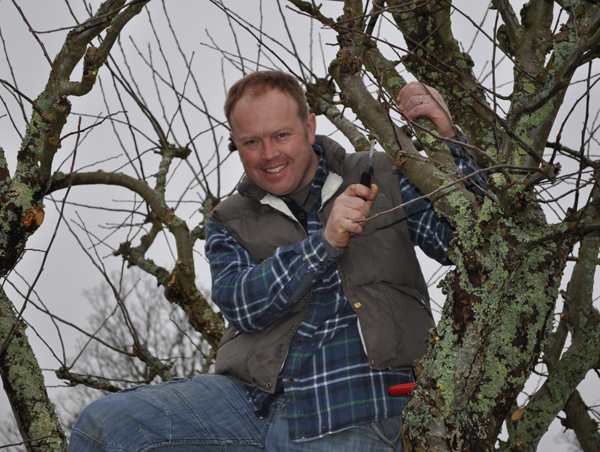 Assist in the planting of new local variety fruit trees within orchard. 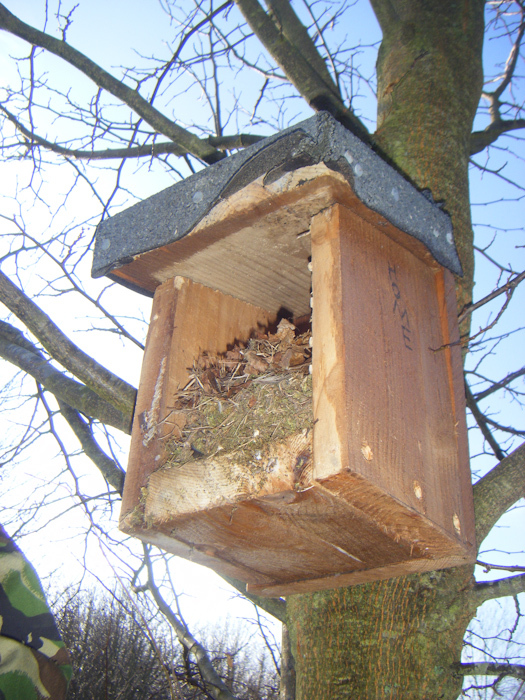 Put up insect, bee & bird homes within orchard trees to encourage pollination. 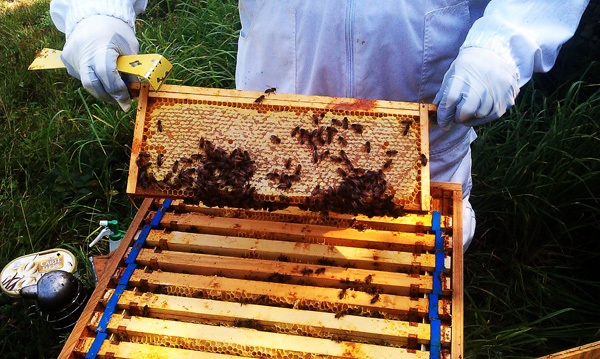 Learn about the wildlife & community benefits of bees. 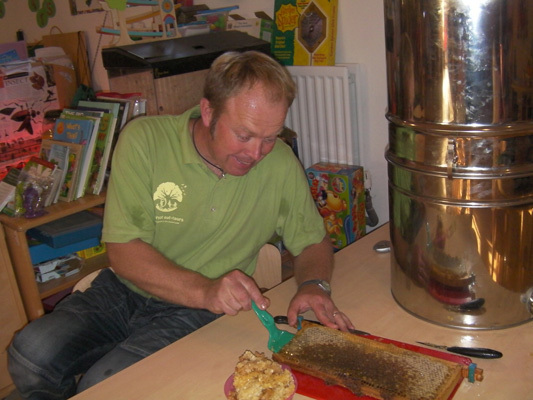 Put up bee homes within surrounding traditional orchard, wood & meadows to encourage pollination & natural pest control. 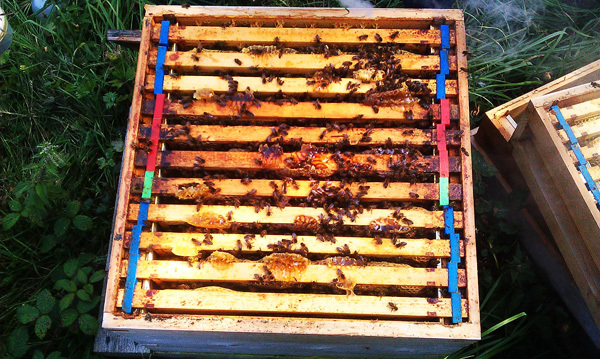 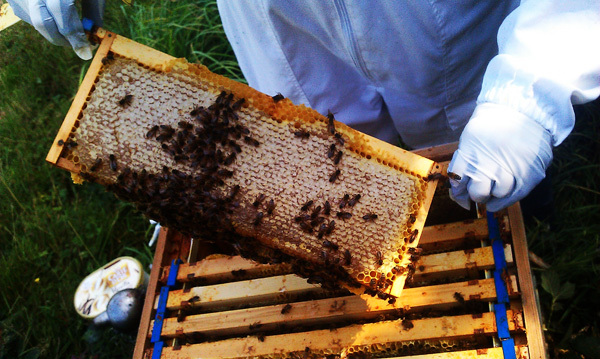 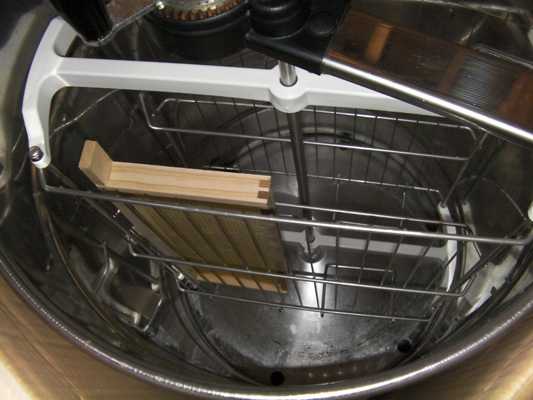 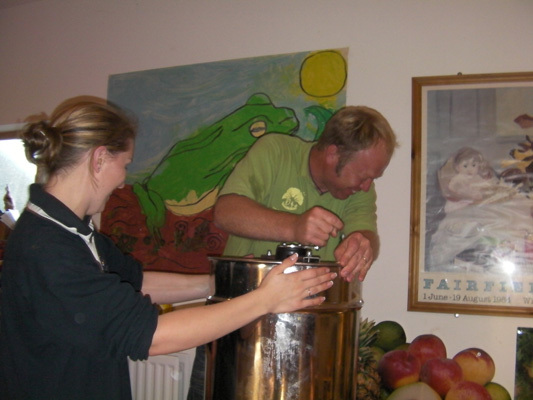 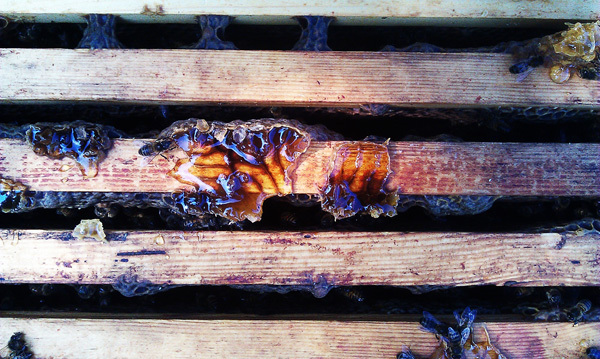 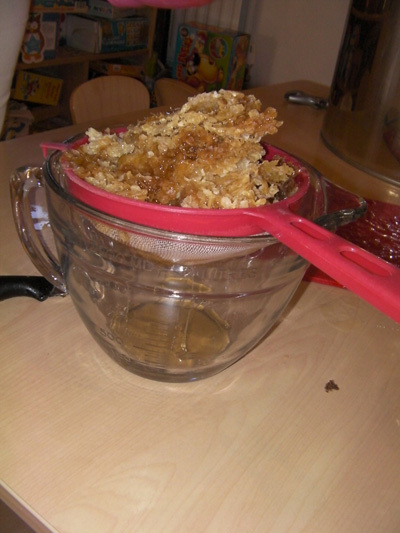 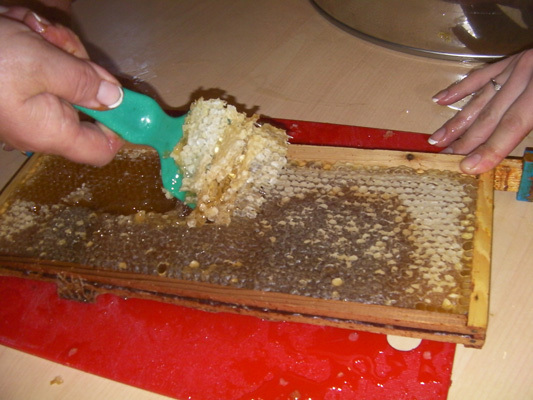 Assist to harvest the honey by ‘drawing it off’ the combs. 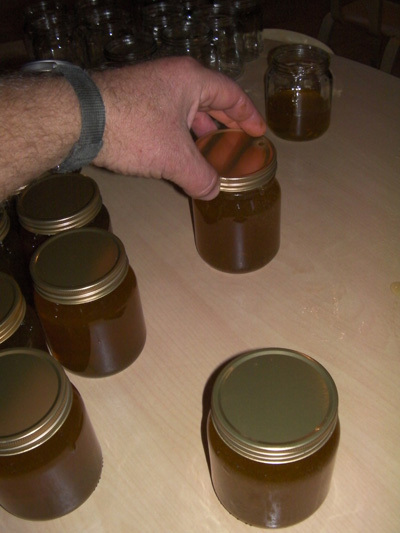 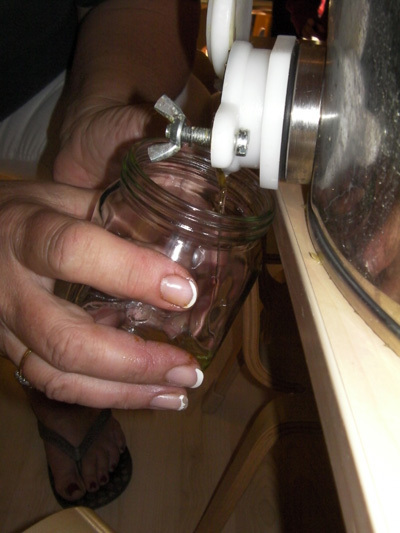 Jar up & label the honey ready for comunity sale. 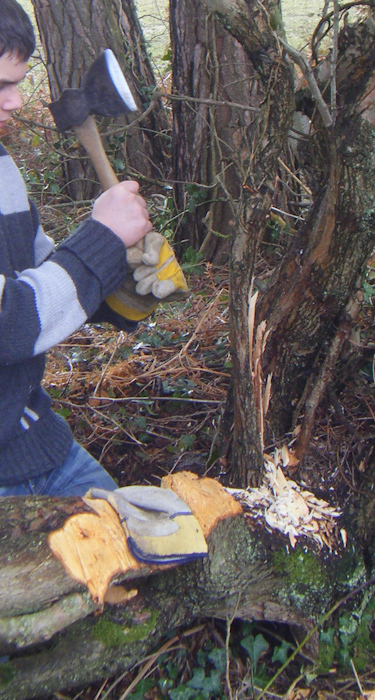 Learn about the importance of woodlands & their management for wildlife & recreation. 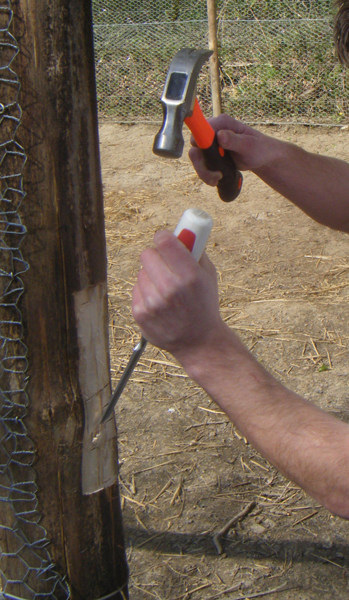 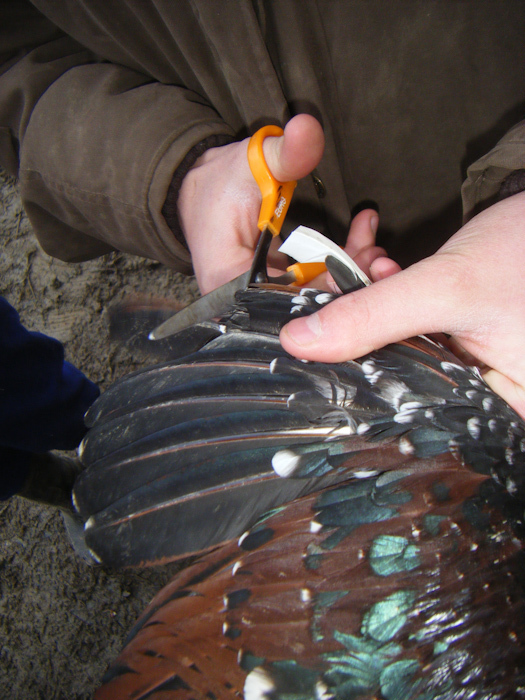 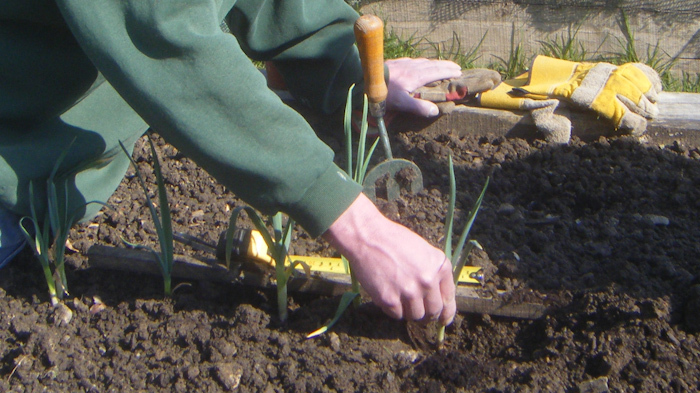 Carry out seasonal management using a variety of hand tools. 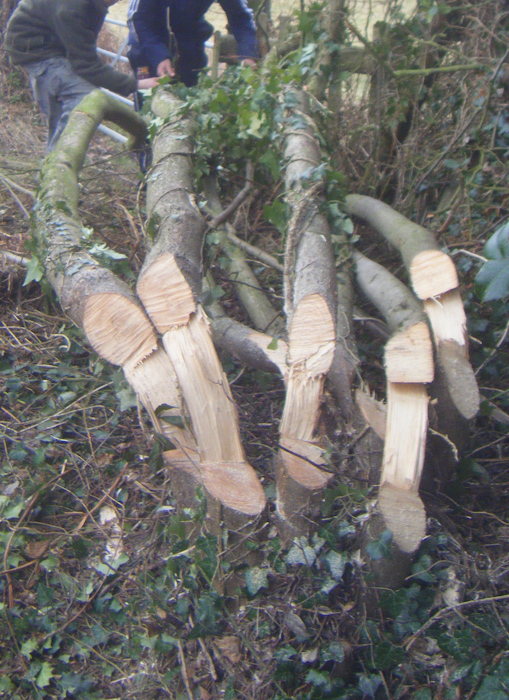 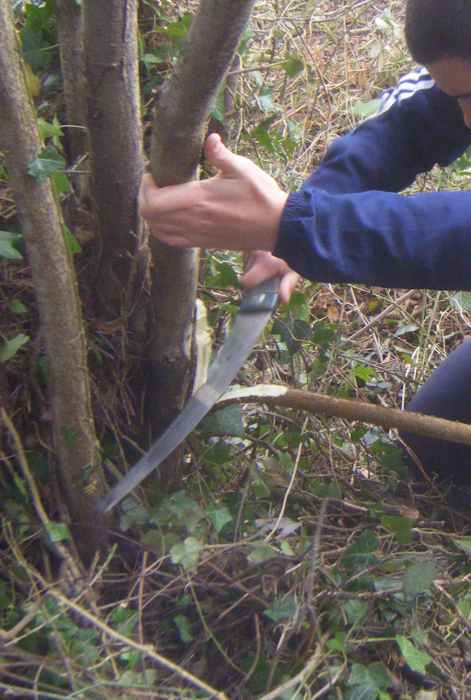 Learn to/cut down small trees/shrubs using a variety of techniques to include ‘coppicing’ & ‘pollarding’. 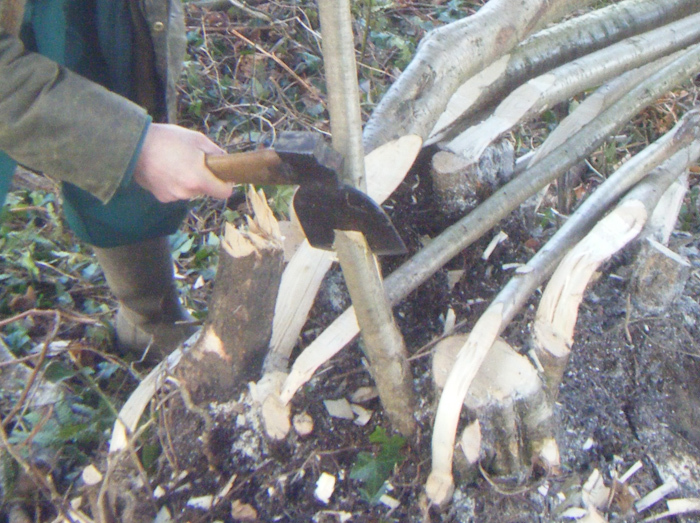 Design & cut woodland paths through thick bramble undergrowth. 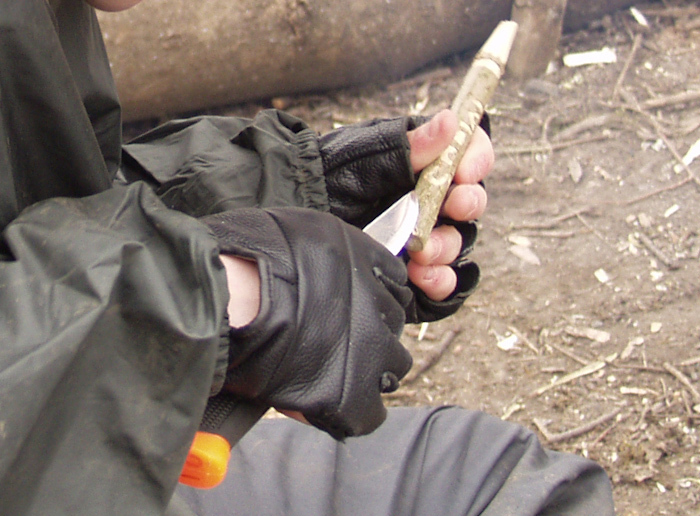 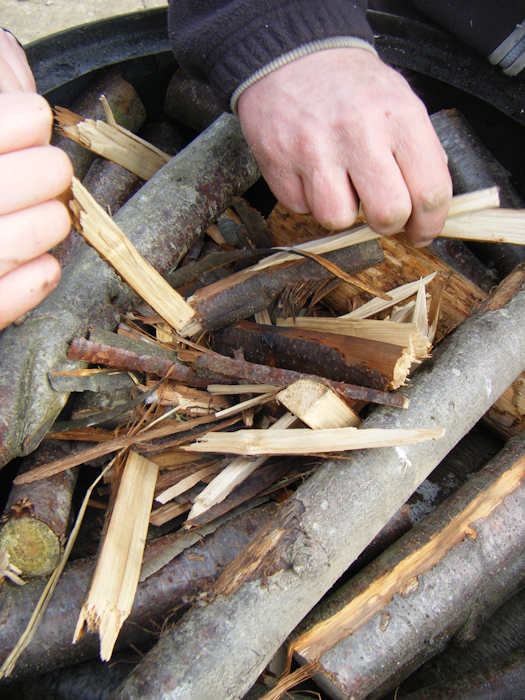 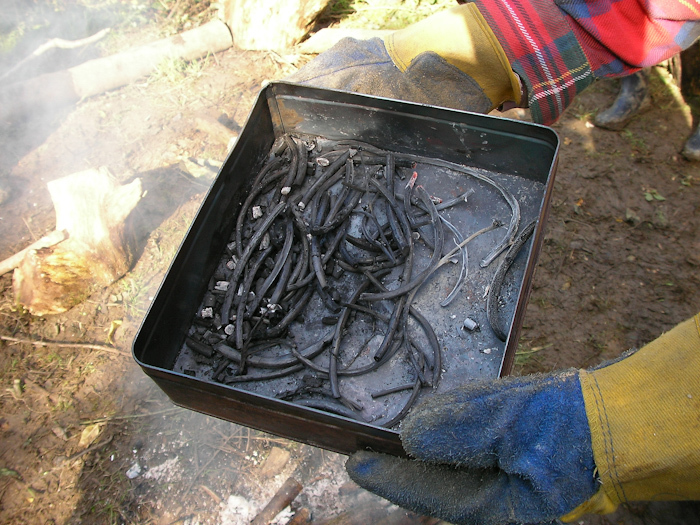 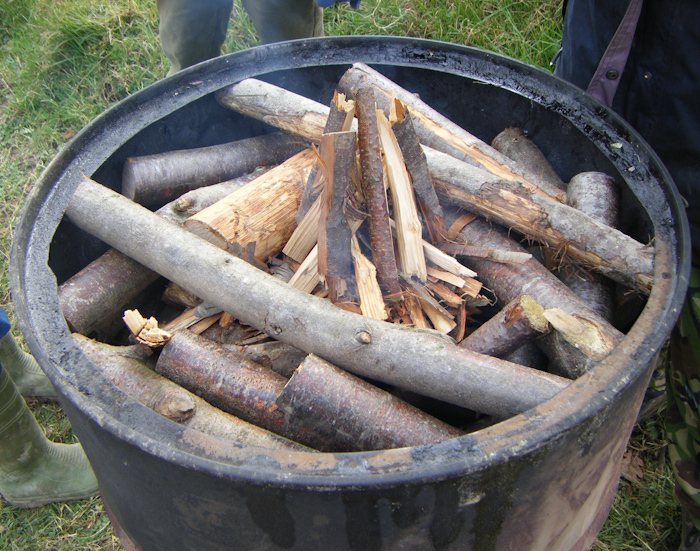 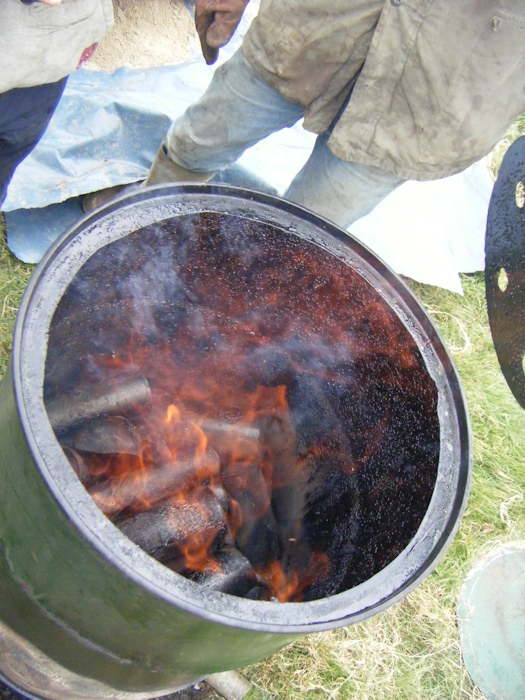 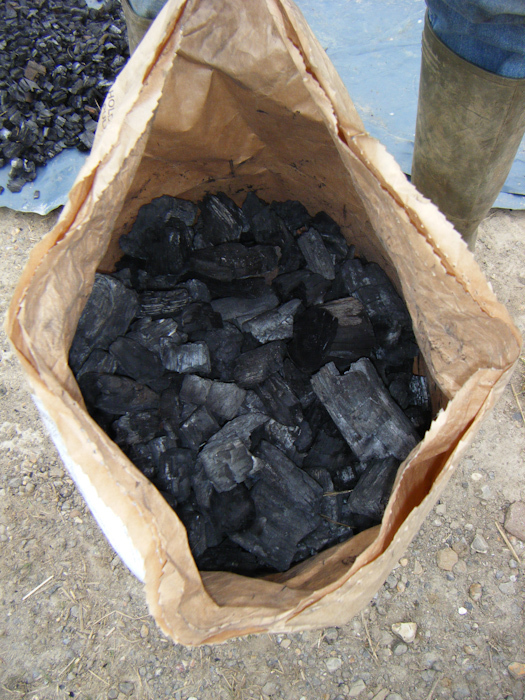 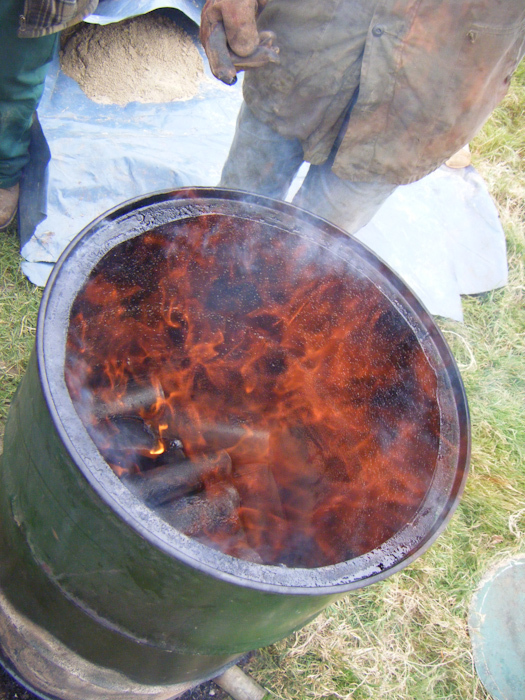 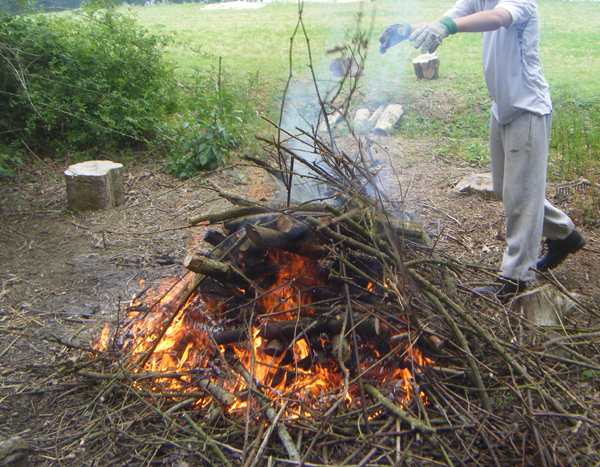 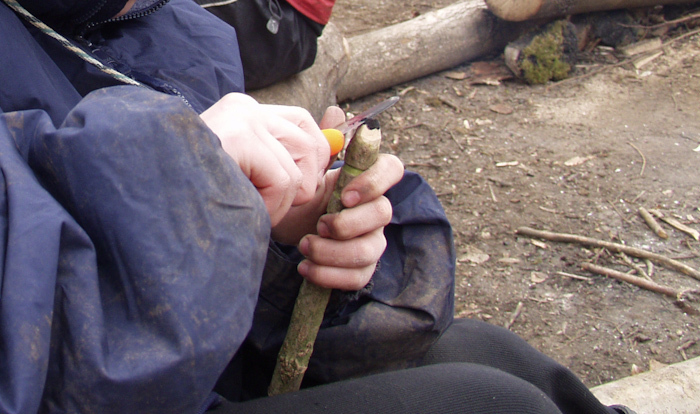 Create a campfire area for cook ups & woodland bushcraft activities. 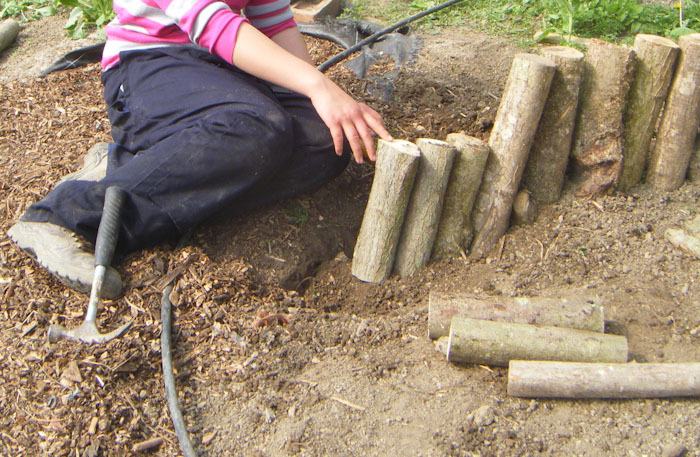 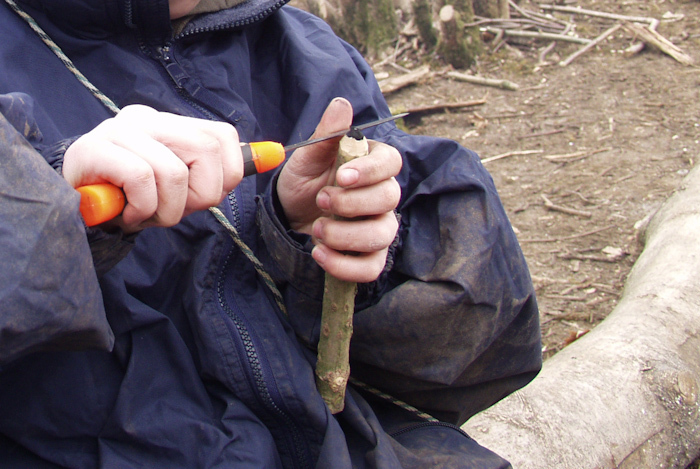 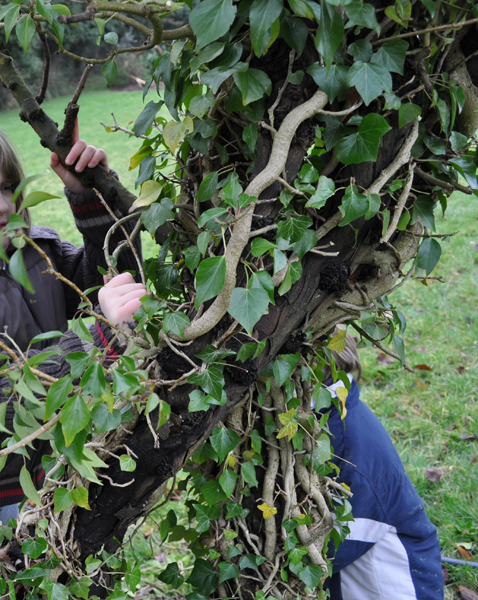 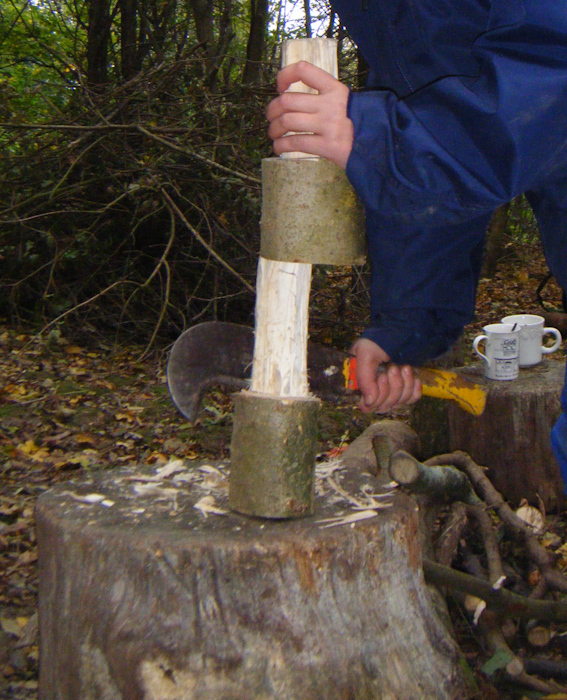 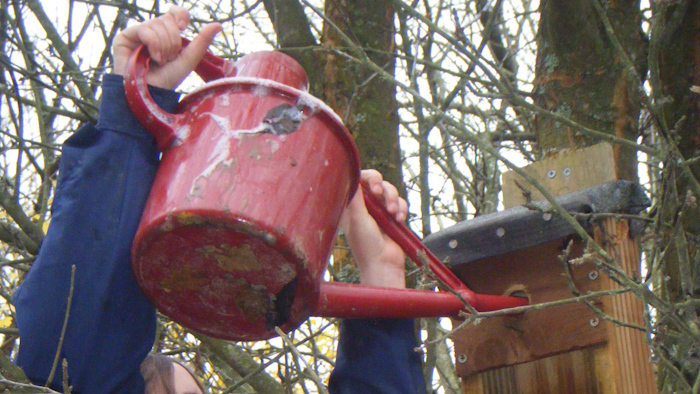 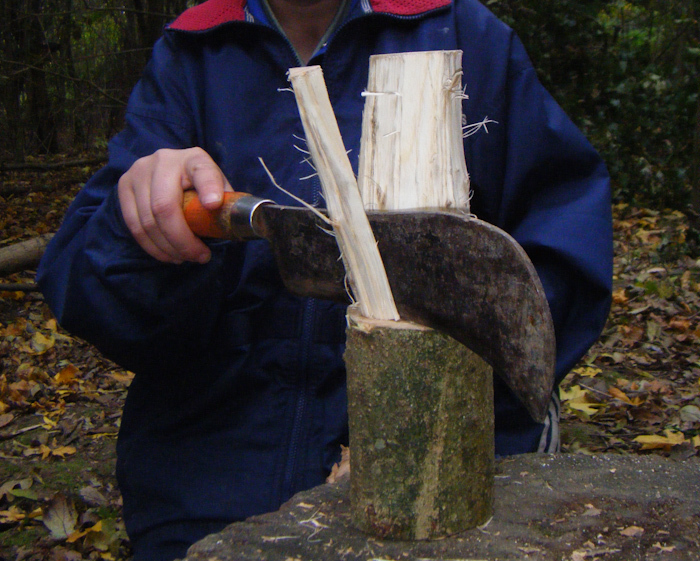 Make a variety of different items using woodland materials. 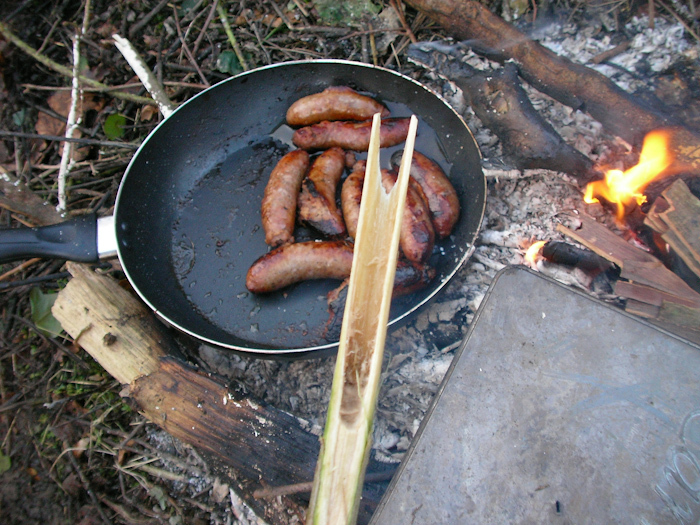 Make fires and cook lunch! 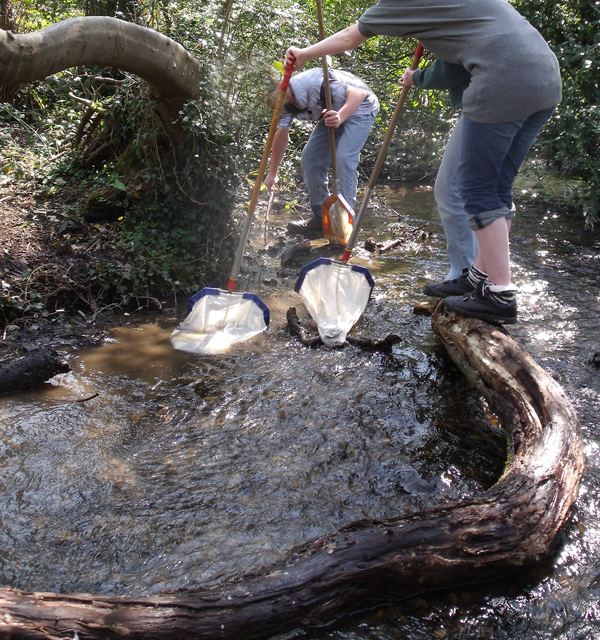 Learn about the role & importance of pond & stream habitats, their wildlife & management. 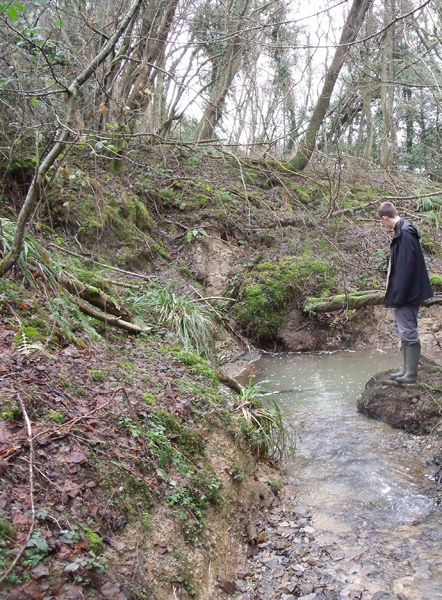 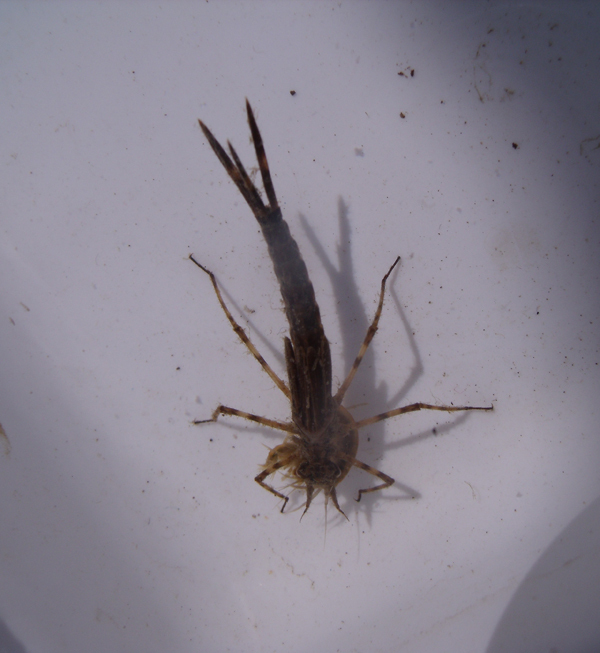 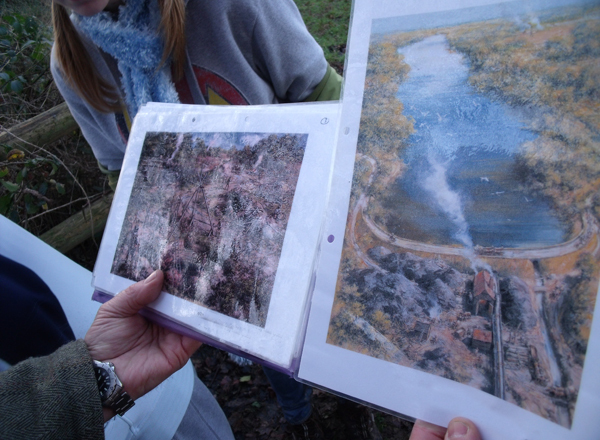 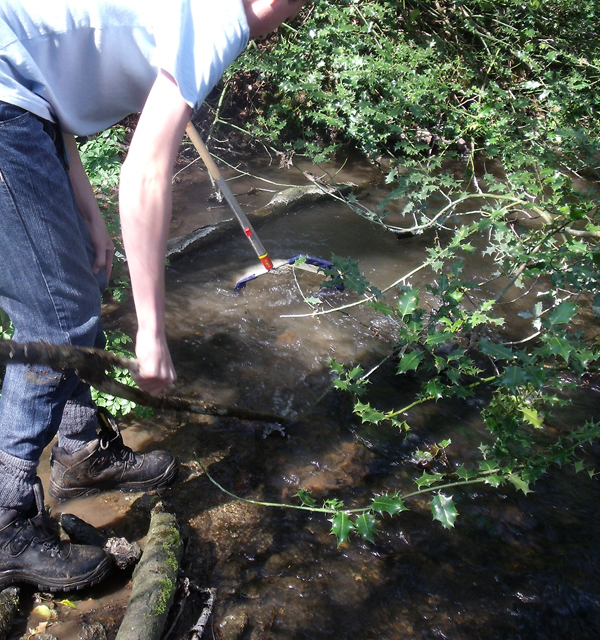 Carry out a variety of pond/stream wildlife surveys. 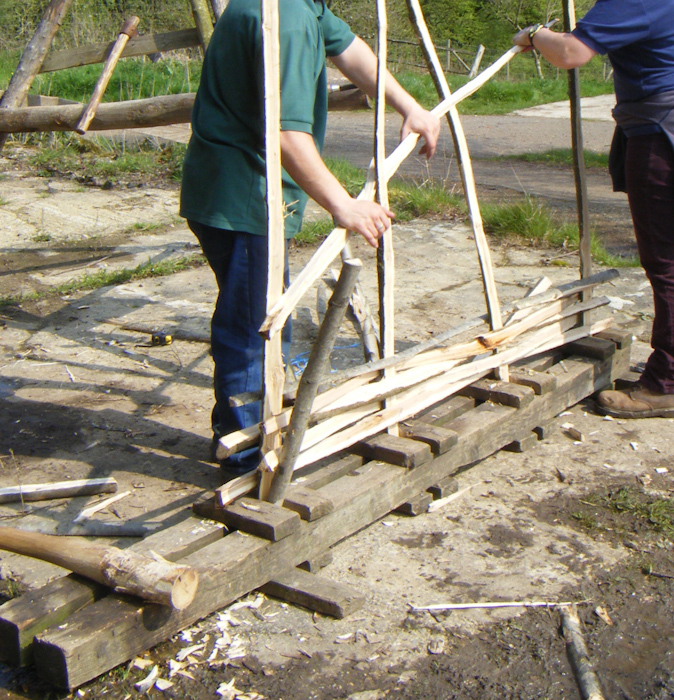 Help construct a pond dipping platform. 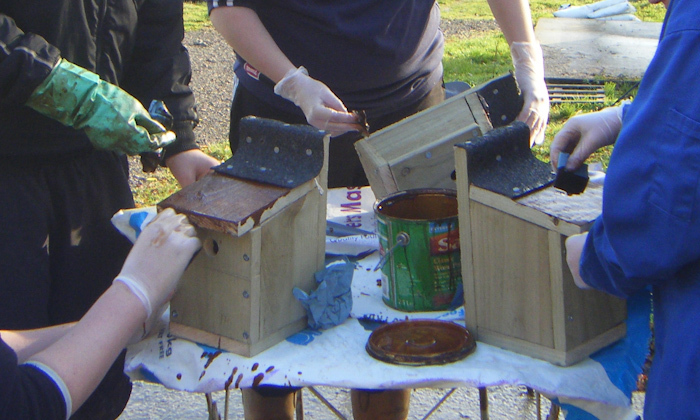 Construct various water wildlife homes to include floating duck houses. 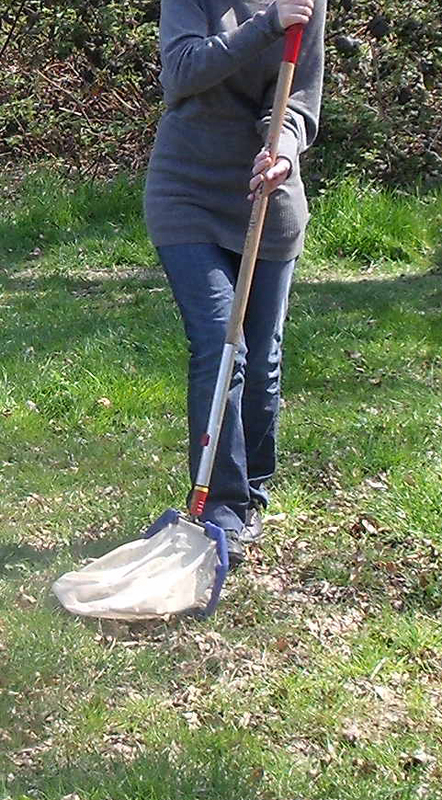 Take part in seasonal pond management. 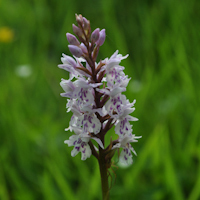 Learn about the ancient origins & conservation importance of wealden wildflower grasslands. 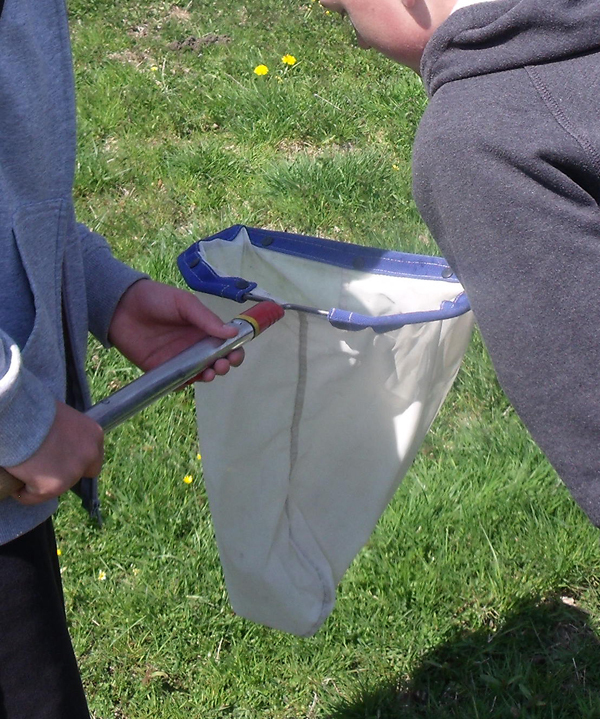 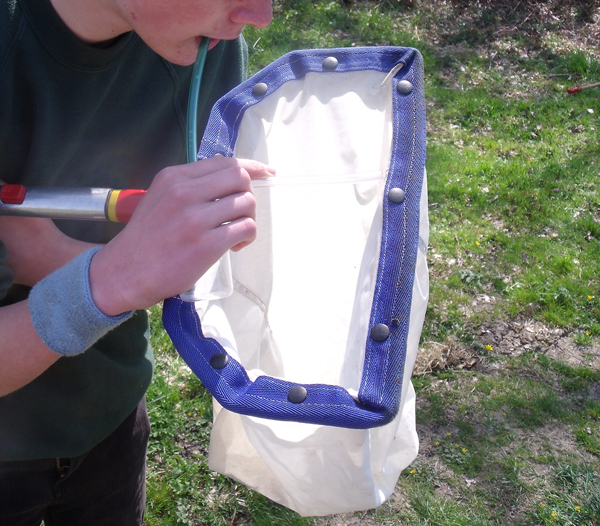 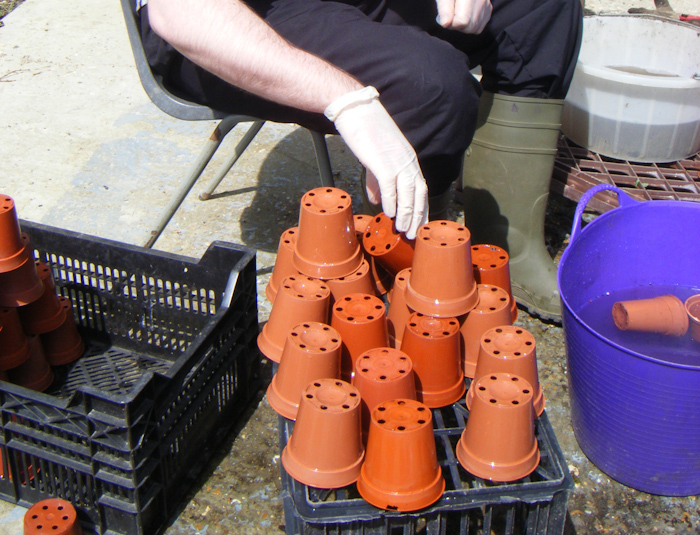 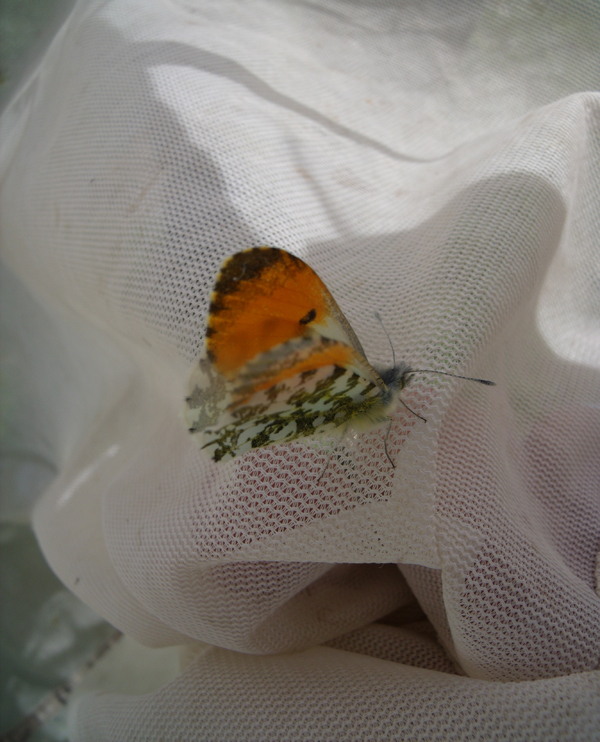 Survey plant & insect life in meadows & fields using a variety of methods. 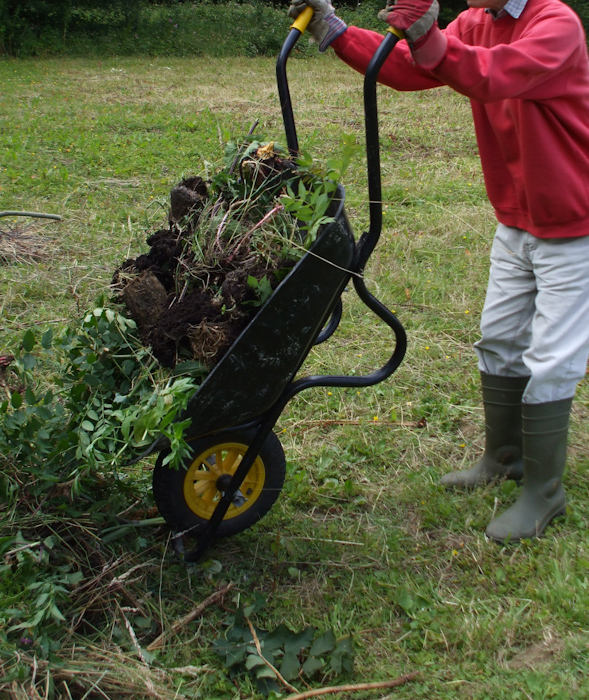 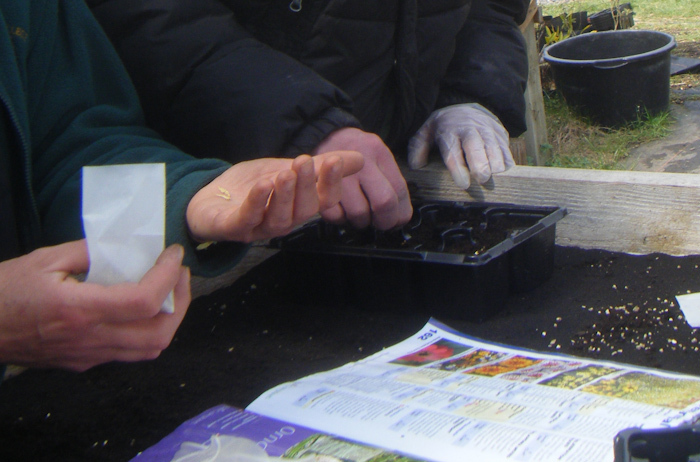 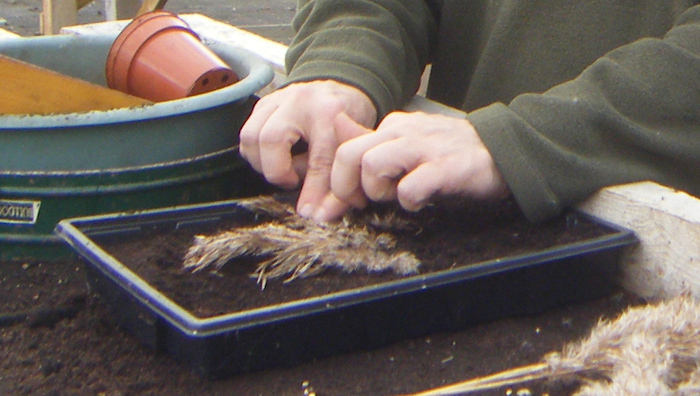 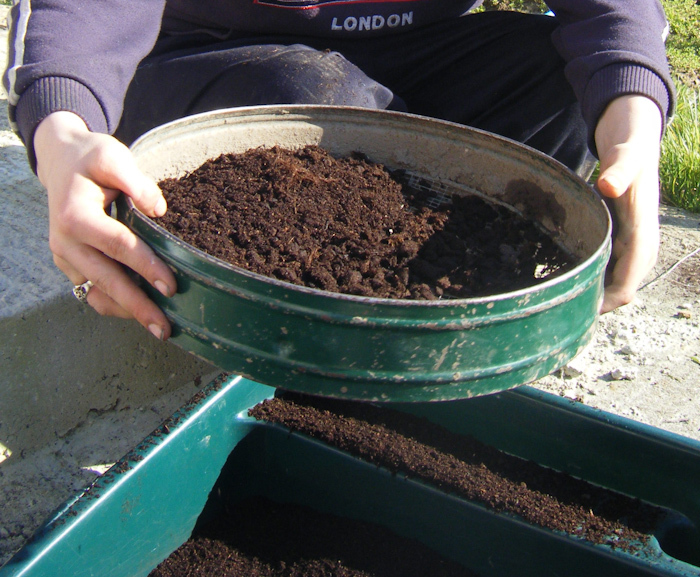 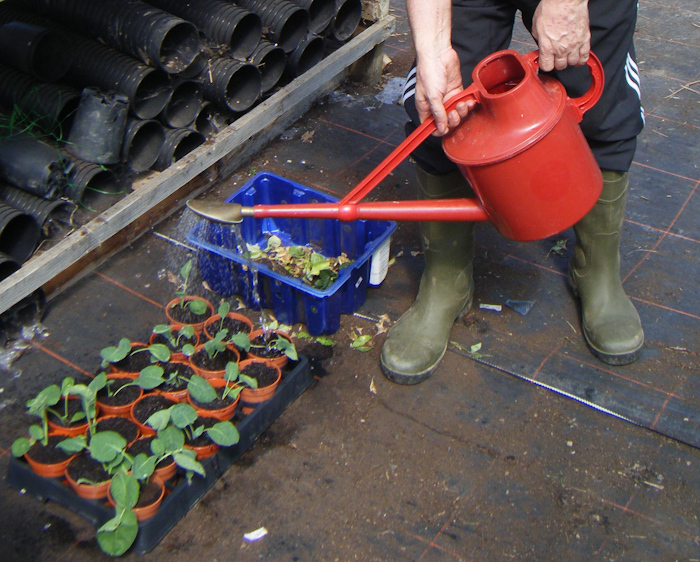 Collect wildflower seeds from farm meadows/fields & plant in plugs for later transplant to other site areas. 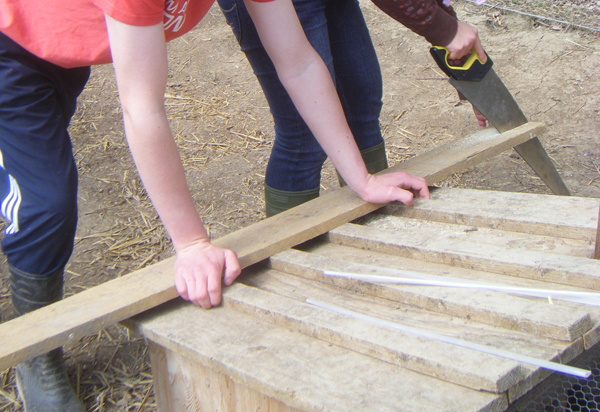 Learn about the process of hay-making & its importance on a farm. 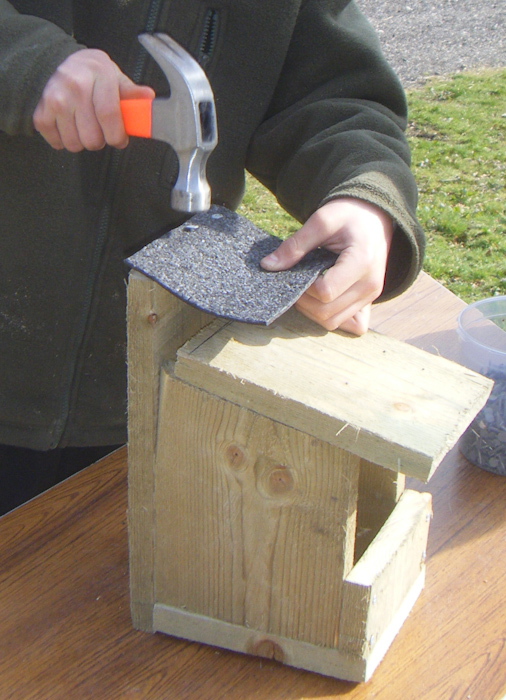 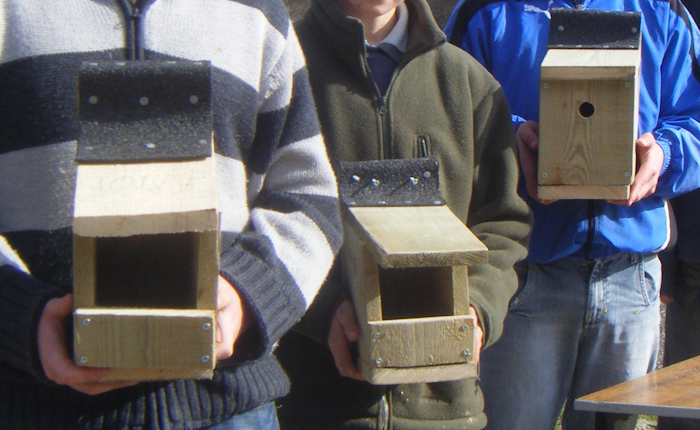 Make barn owl nest boxes for siting to meadow edges. 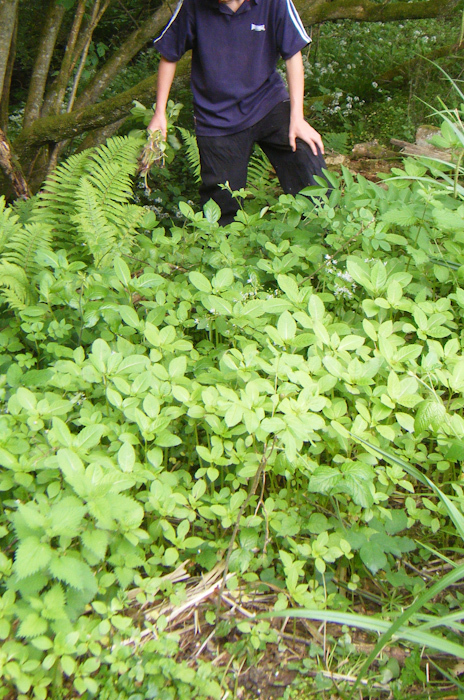 "I think it's very, very, very nice to come here. 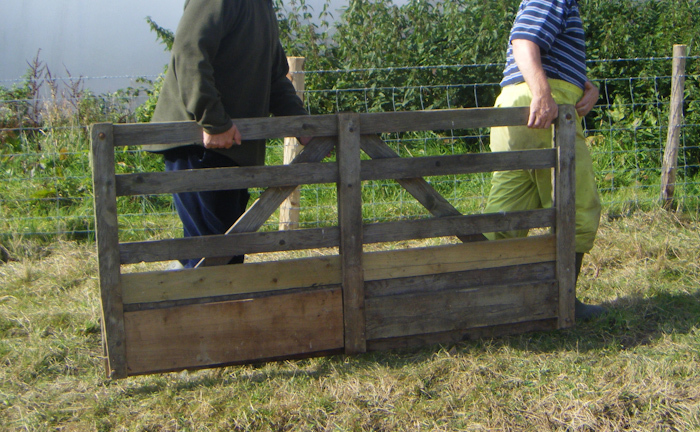 I liked making the sty for the pigs & filling it with straw. 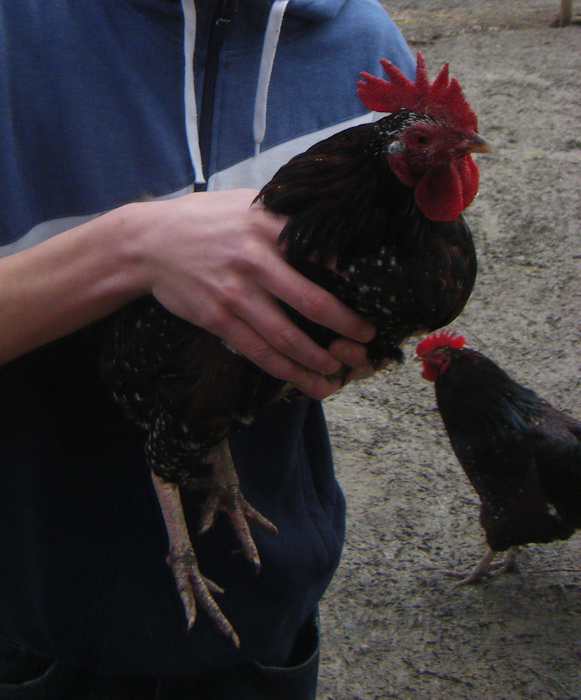 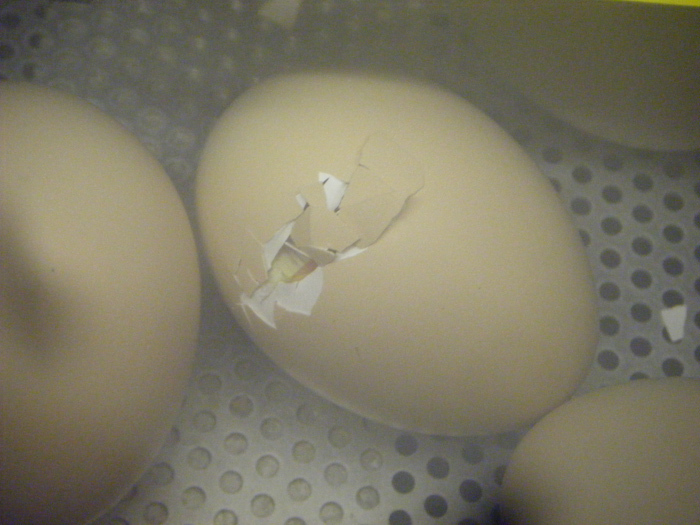 I like collecting chicken eggs." 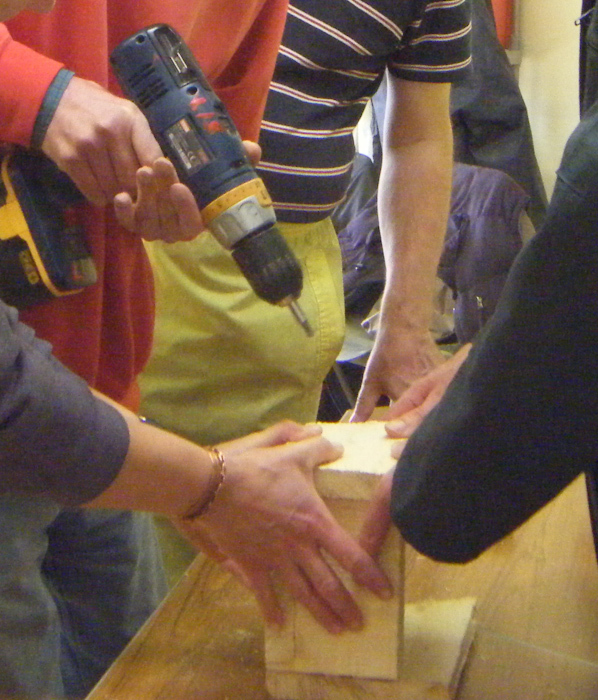 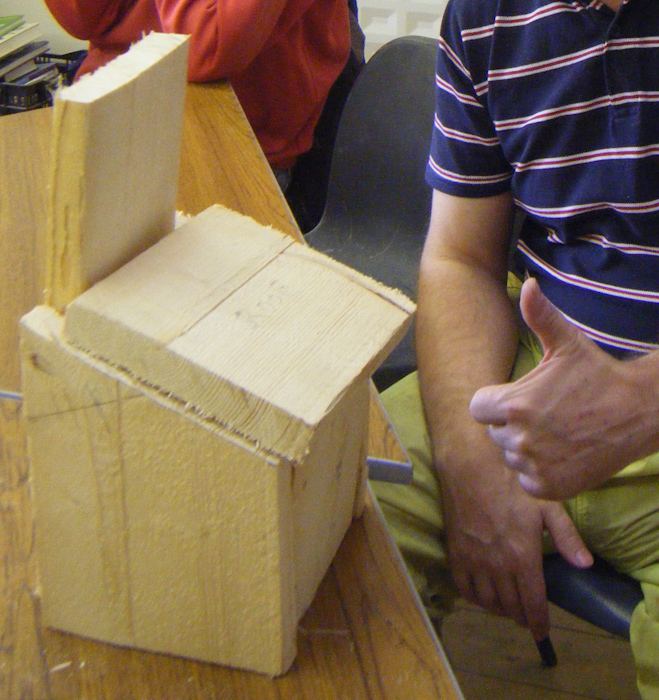 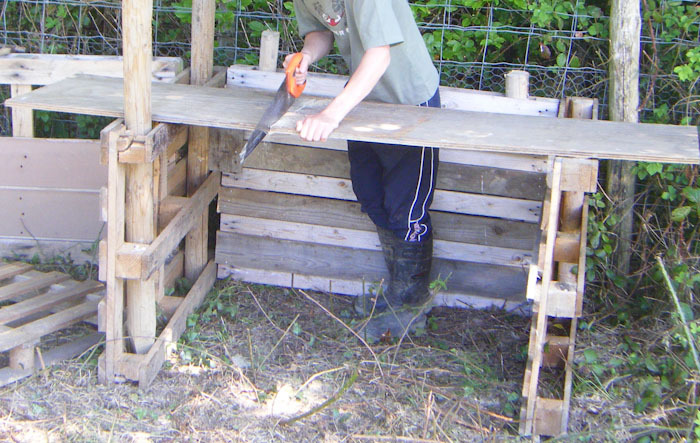 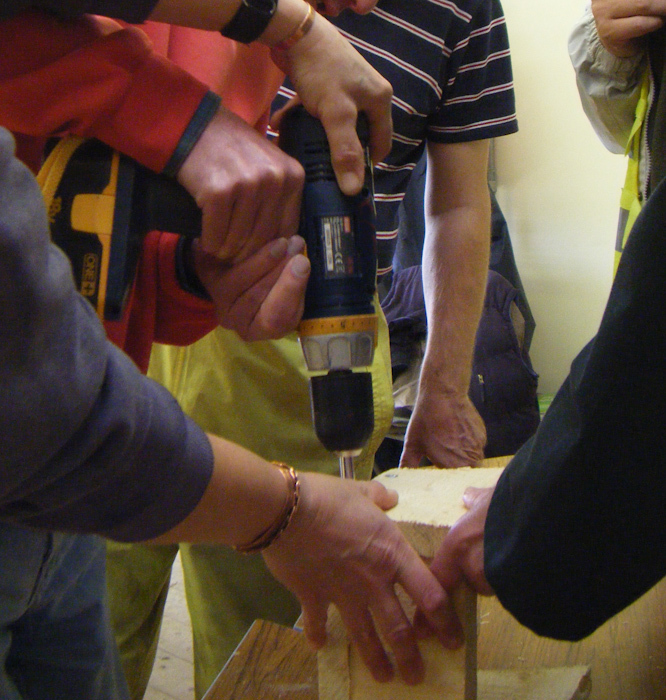 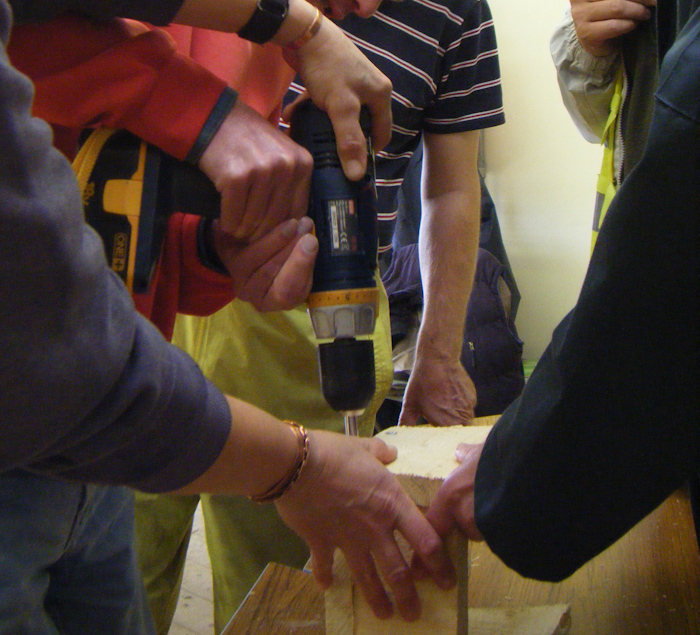 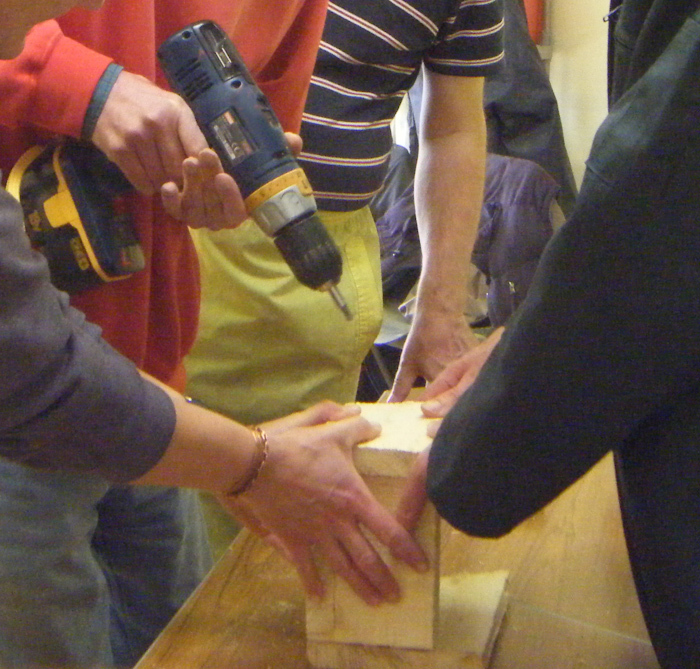 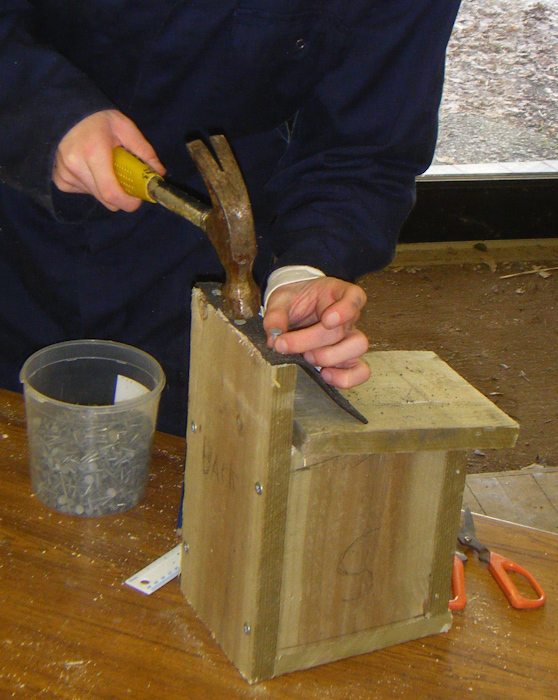 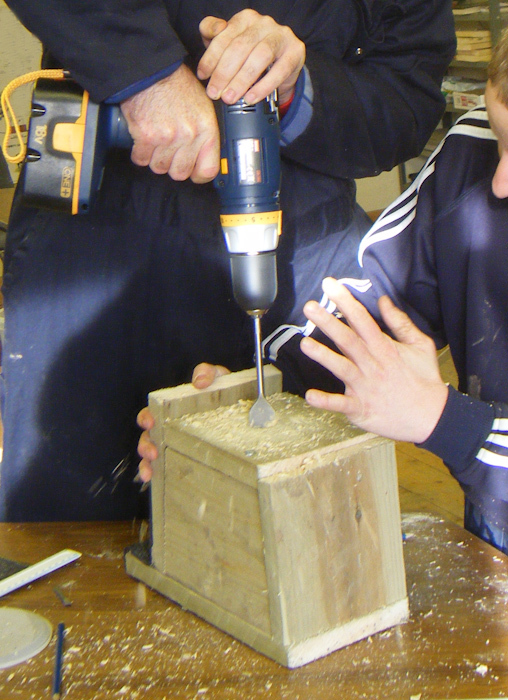 John H.
"I liked making the bat box, bird table and drilling." 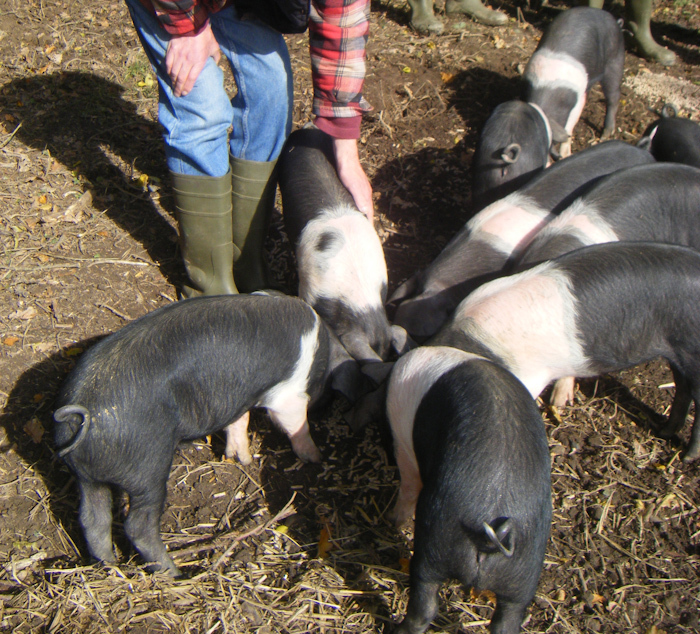 Nick G.
"The favourite part of my week is coming to the farm group. 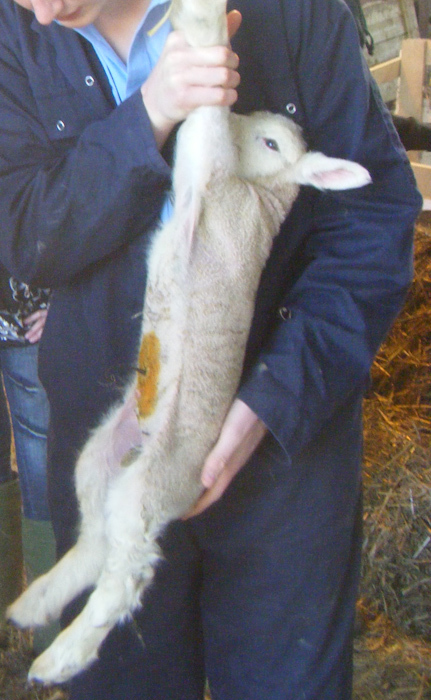 I really like seeing/holding the ducklings and lambs." 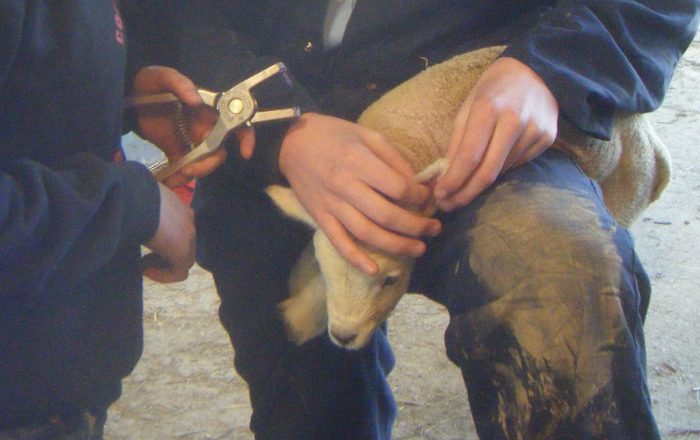 John C.
"I like seeing the lambs and kid goats. 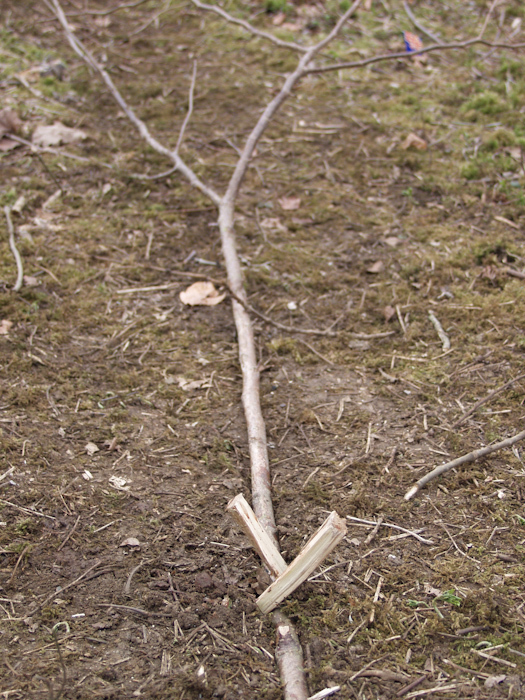 I really enjoyed making the wild wood dragonfly." 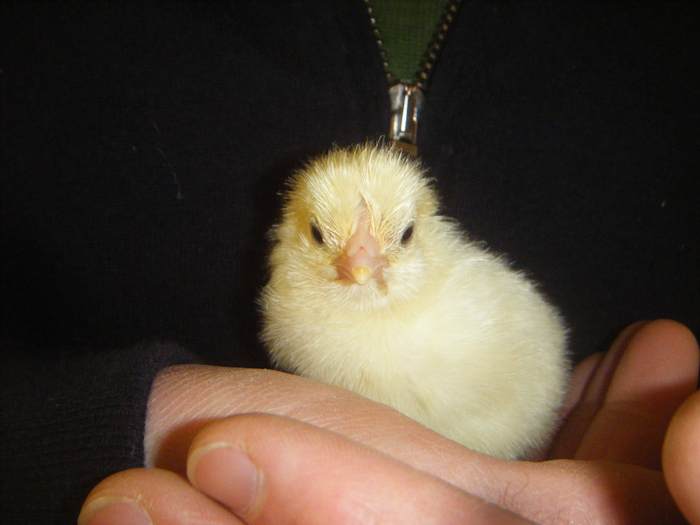 Emma C.
"I like seeing the chicks and ducklings. 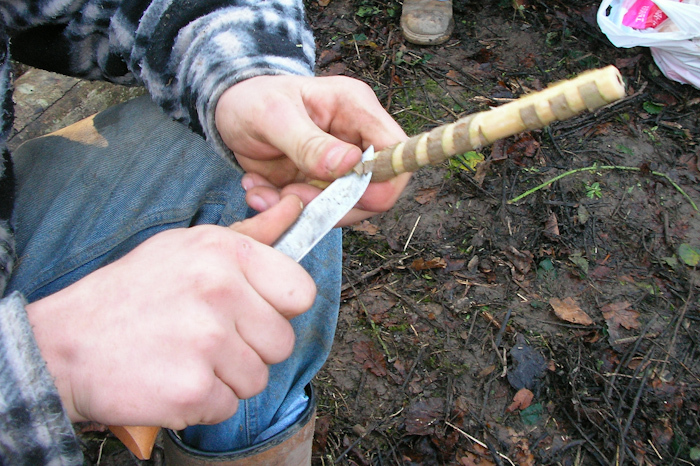 I enjoyed making the wild wood dragonflies." 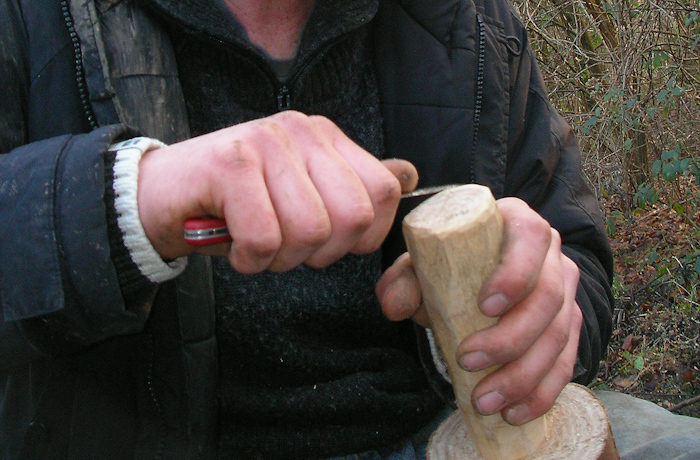 John W.
"I absolutely love using the drill and best of all taking my finished crafts back to my room." 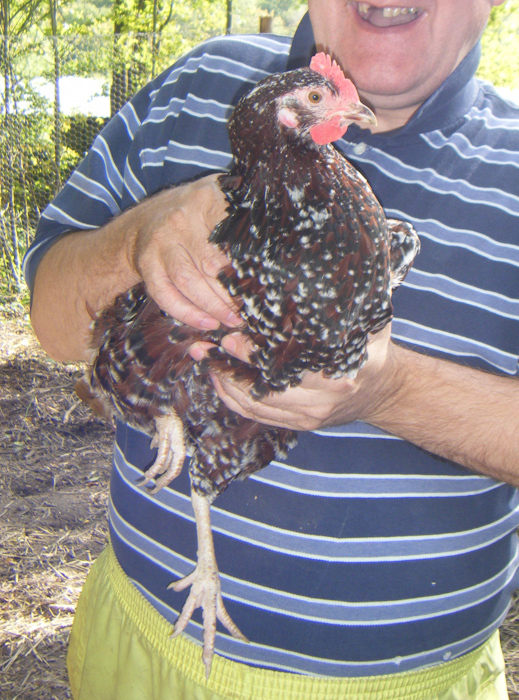 Eric E.
"I love comimg to the farm group and having fun with everyone! 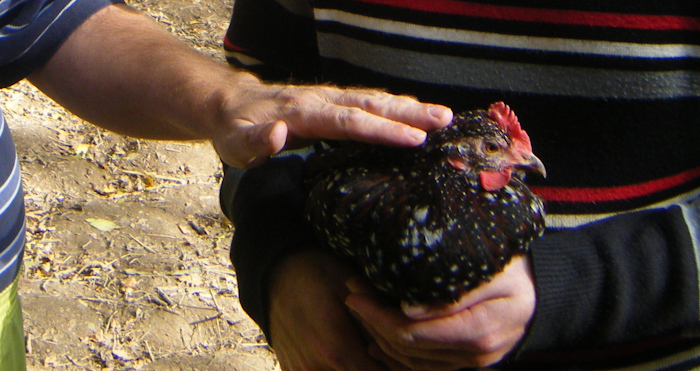 I really enjoy seeing all the animals and holding/stroking them." 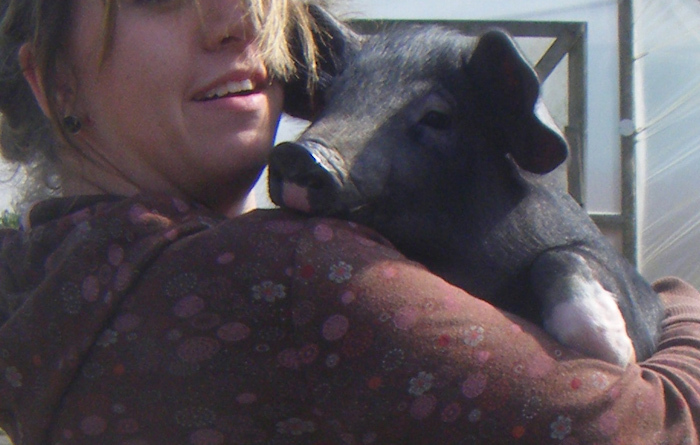 Rachel B.